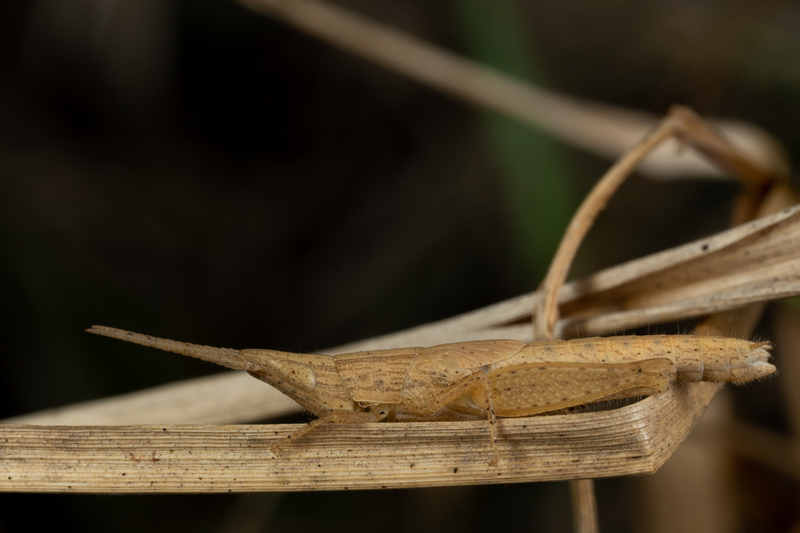 Last week, I returned from a field trip to Gorongosa National Park in Mozambique. 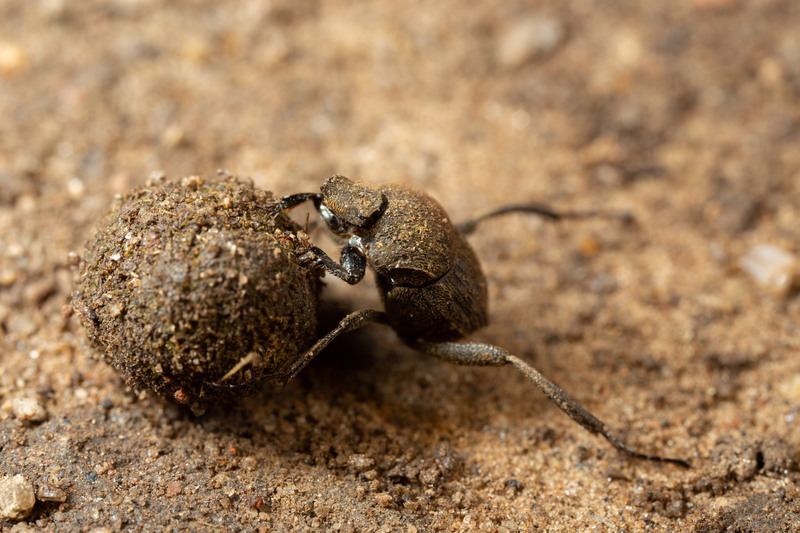 This trip included field work to collect millipedes in Gorongosa National Park and a two-week workshop on arthropod macrophotography. Gorongosa National Park, at the southern end of the Great African Rift Valley in Mozambique, encompasses ~4,000 km-sq of acacia and savanna habitats with sand forests, limestone gorges, and rainforests scattered throughout the park. 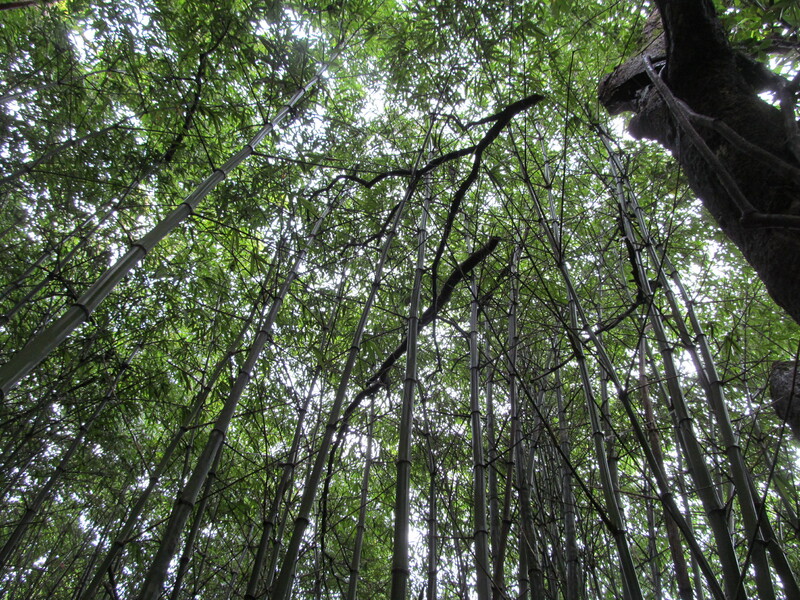 Mount Gorongosa, in the northwestern section of park, holds a diversity of habitats along its 1,863 m. elevational gradient, including rainforests and waterfalls. I took a flight from Washington to Johannesburg, South Africa, and then to Beira, Mozambique. Finally, I boarded a 10-seater prop-plane to Chitengo Campsite in Gorongosa National Park where we landed on a surprisingly smooth grass landing strip (movie, 29.4 MB). Most of the habitat in Gorongosa National Park is savanna with pockets of unique habitats—typically more mesic ones—sprinkled throughout. 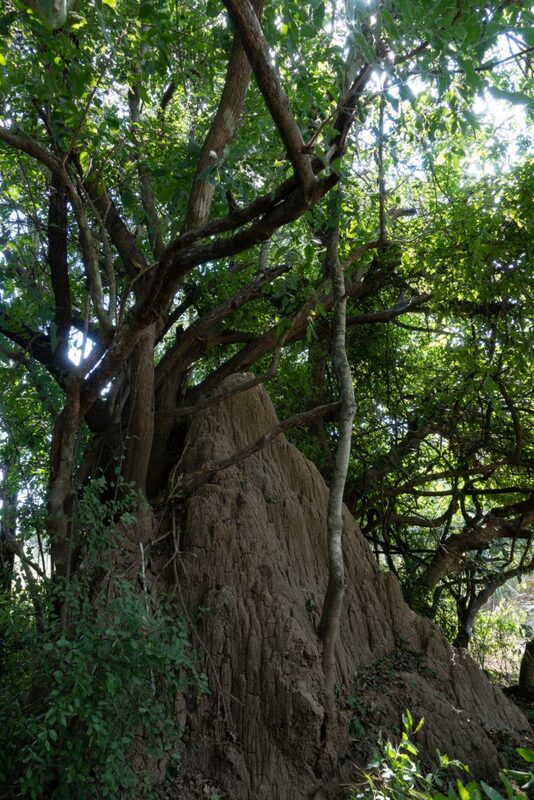 Termite mounds, like this one (pictured below), foster the growth of trees and a shaded ecosystem where leaf litter accumulates and soil dwelling animals persist. 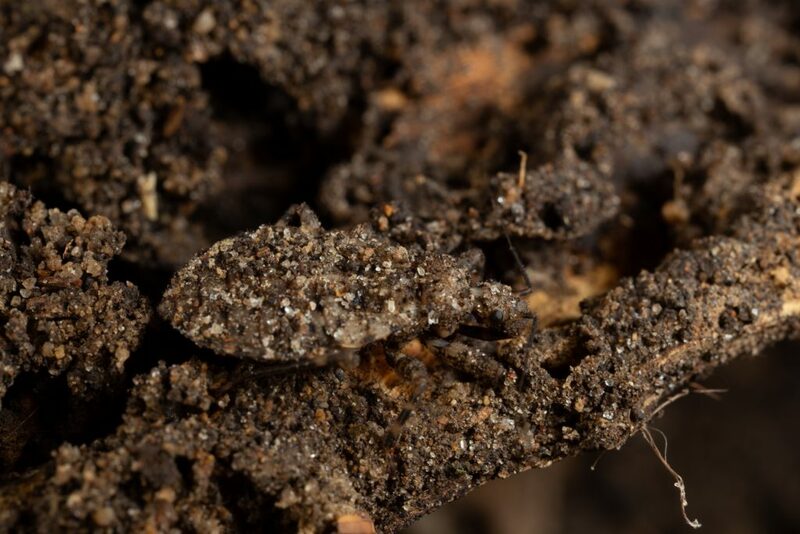 These termite hill thickets were great for polydesmidan millipedes, amphisbaenians, and snails. 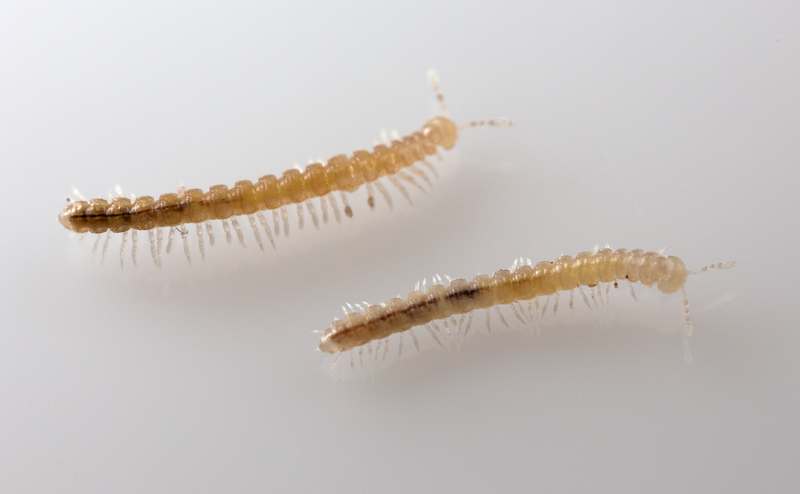 A caterpillar of the tineid moth Paraclystis integer (left), an inquiline of the termite Schedorhinotermes lamanianu (right). Identifications from Piotr Naskrecki. Blister beetle, Mylabris? 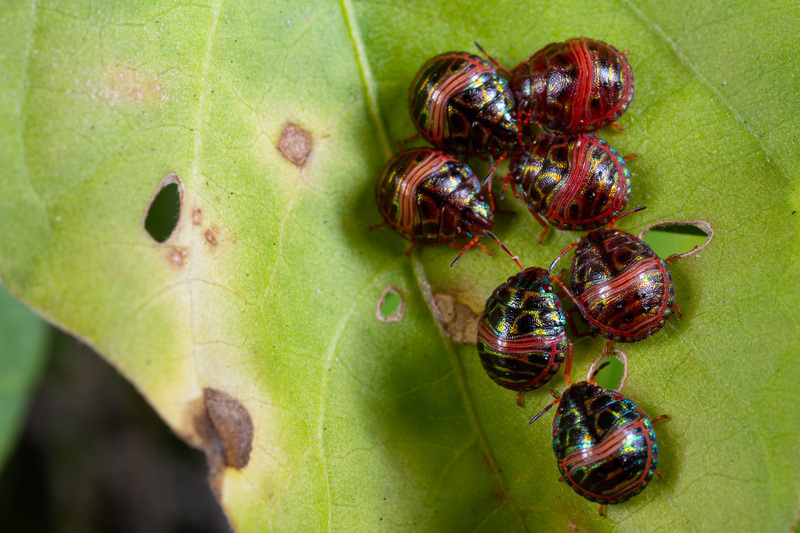 (family Meloidae). 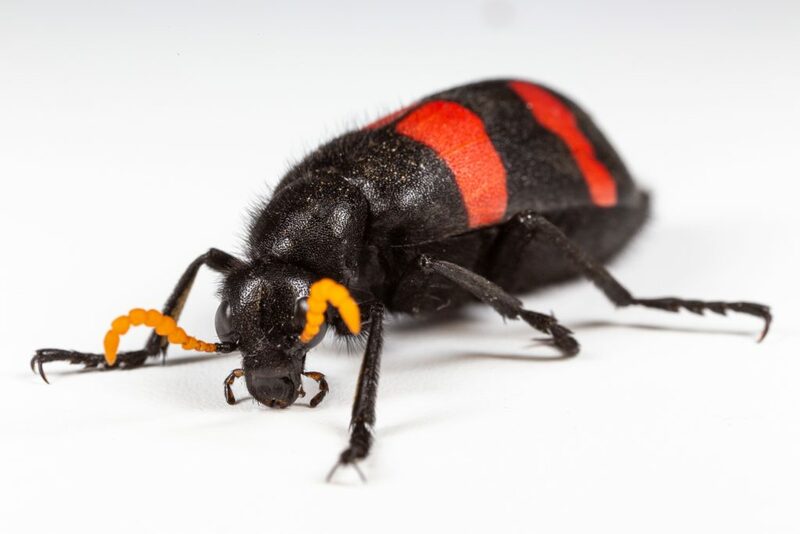 I definitely would not touch this beetle. 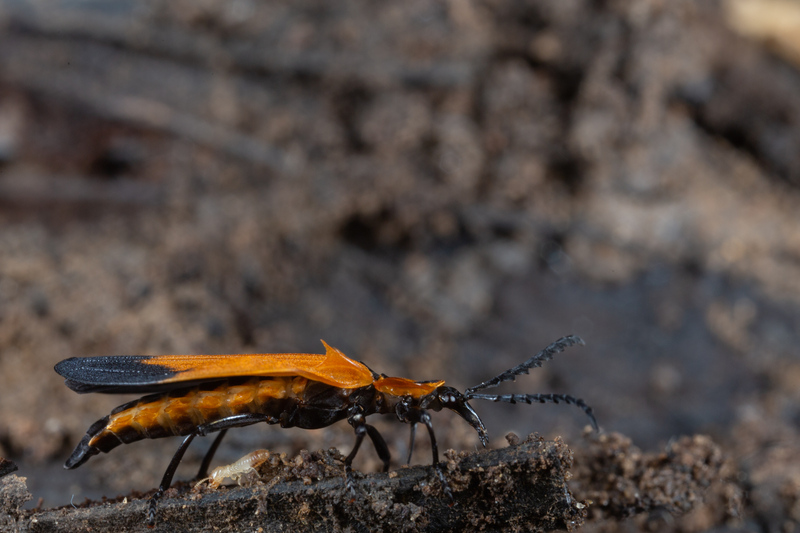 Net-winged beetle (family Lycidae). 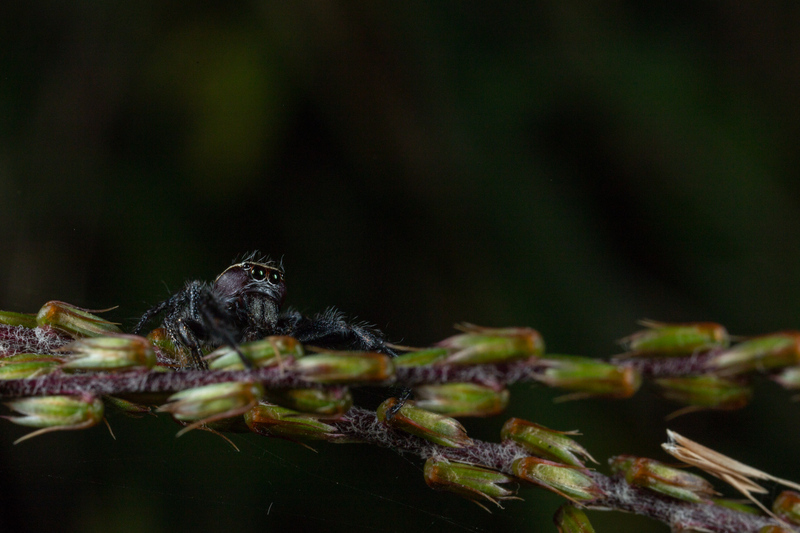 This one had a cool snout. 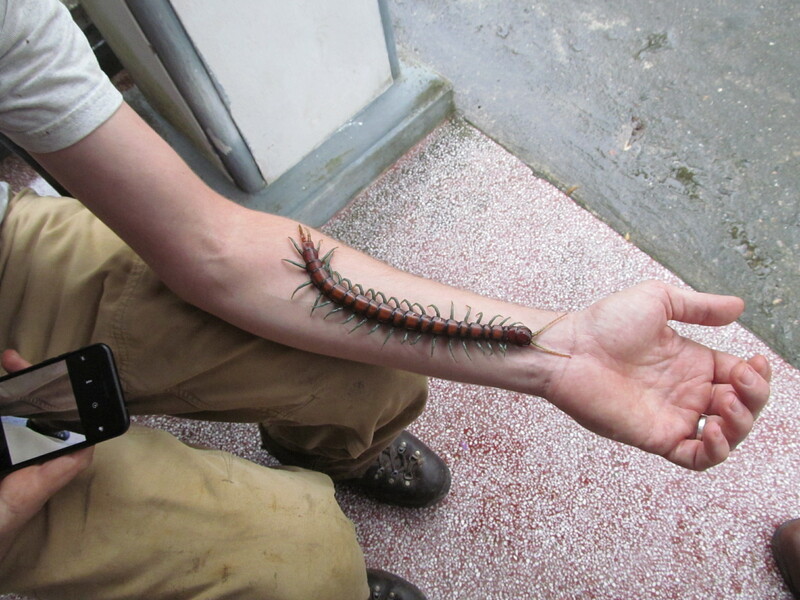 This was the millipede I was looking for. 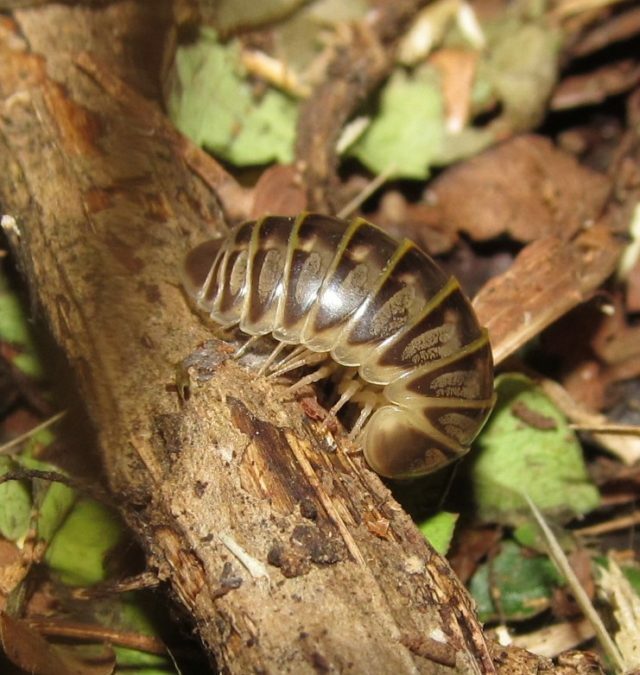 This is a species of polydesmidan cyanide-producing millipedes in the family Oxydesmidae. 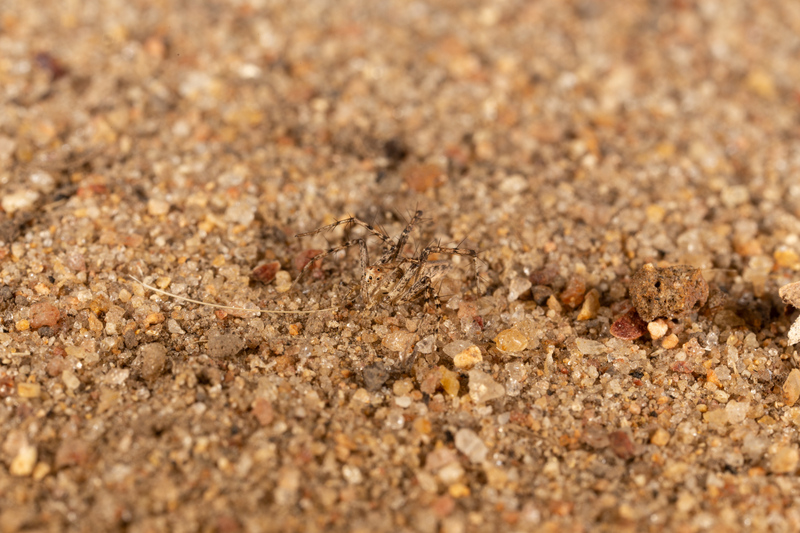 The family is characterized, in part, by little “eye” brows above their antennae. 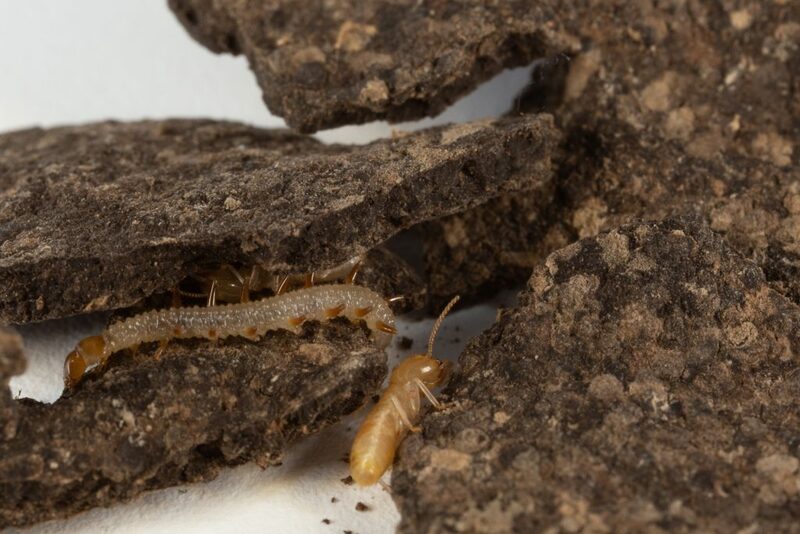 (Eye is in parentheses because these millipedes are blind, and haven’t had eyes in > 200 million years.) 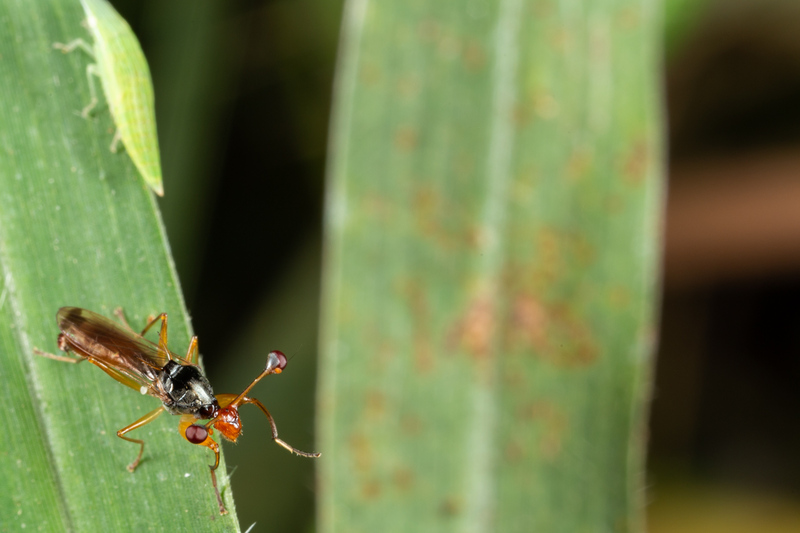 This particular oxydesmid has horns on its rings, which are noticeable on the first few rings (and on the photos here and here). The millipede was discovered by Norima Niumtu, a student in the Gorongosa Biodiversity Science Education Program. Thanks Norima! 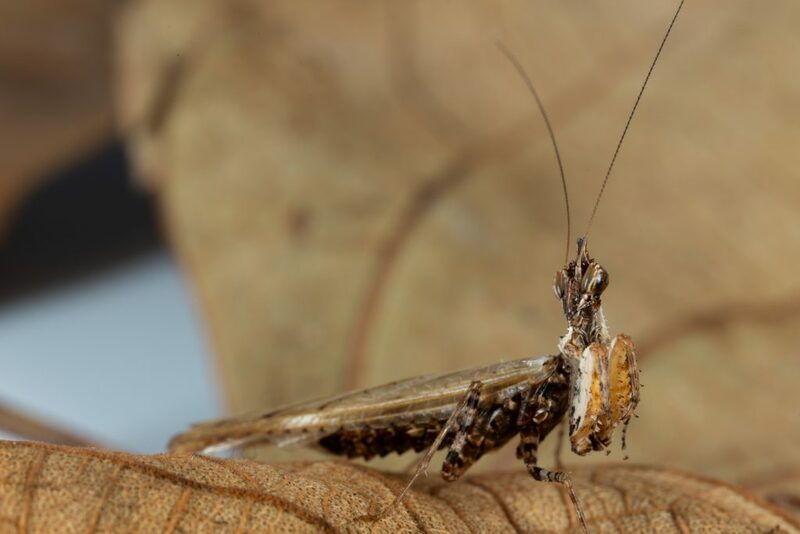 Armored Katydid nymphs (Enyaliopsis sp., family Tettigoniidae). 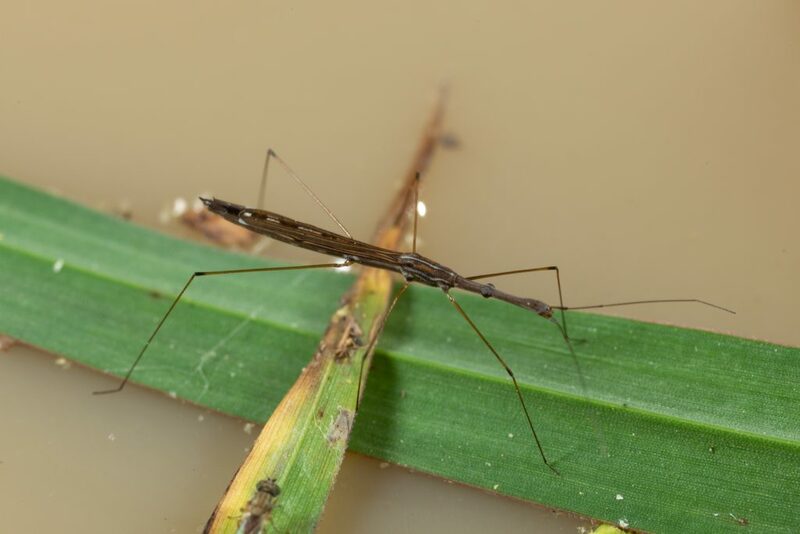 Image of adult. 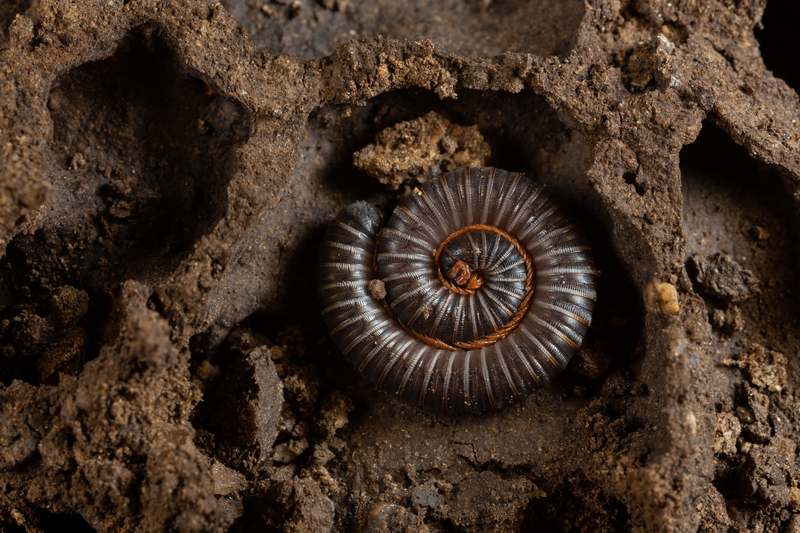 Last Monday, we traveled to Mendota, Virginia to search for the millipede Rhysodesmus restans Hoffman, 1998. 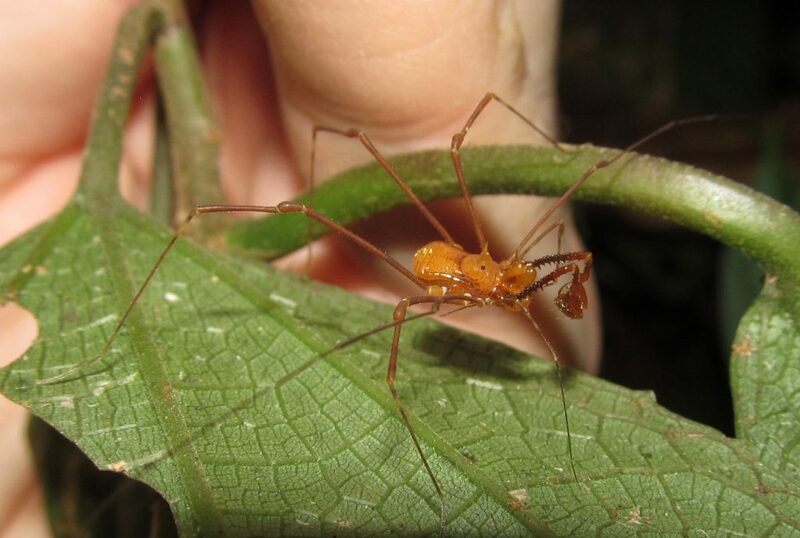 The species is one of two Appalachian representatives of the genus, and otherwise known from the Rio Grande Valley in Texas south to El Salvador (Shelley, 1999). 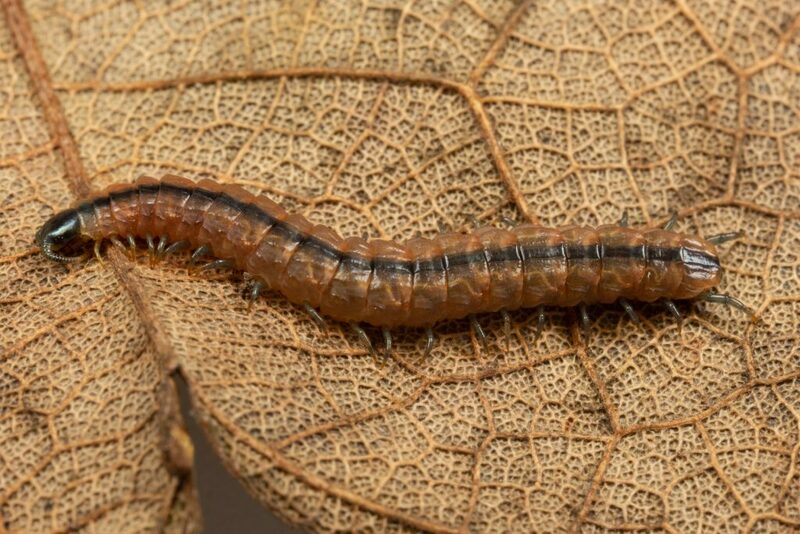 Unfortunately, we didn’t find R. restans but collected some other interesting taxa, including the macrosternodesmid millipede Chaetaspis albus. 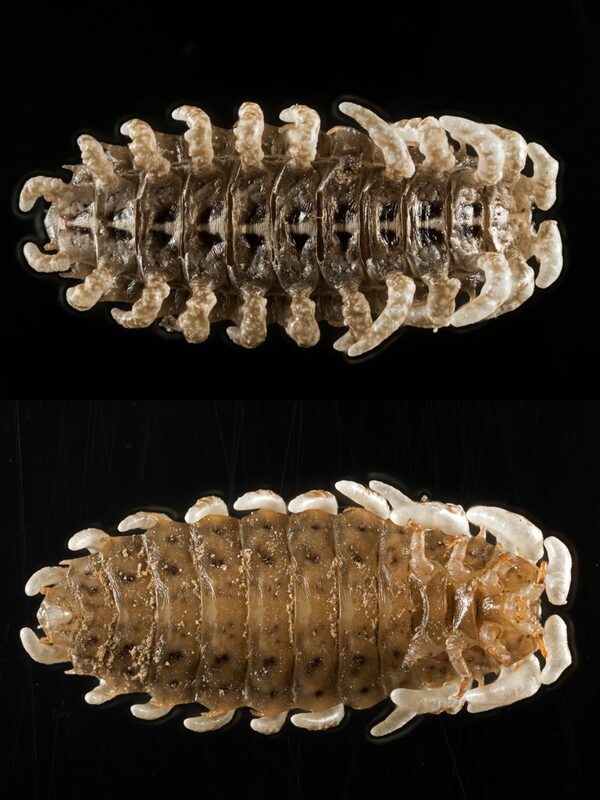 The polydesmidan millipede Chaetaspis albus and ectoparasitic mites visible on the head and leg-pairs 7 and 9. 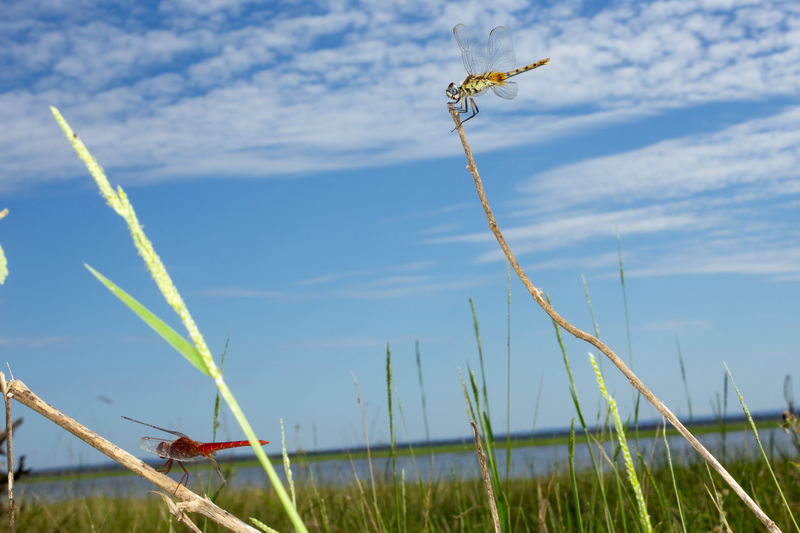 Chaetaspis albus, male (top) and female (bottom). 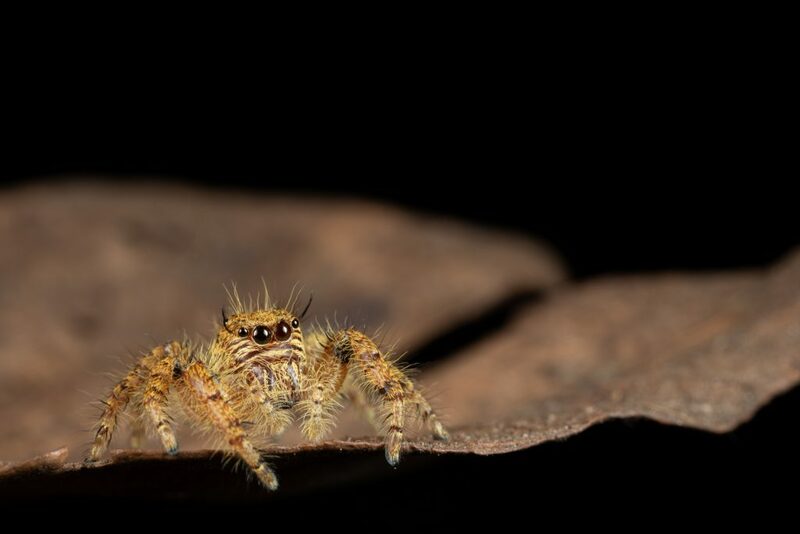 The male appears larger in body size than the female, which is unusual for most arthropods. Male Chaetaspis albus (ventral view) and its very “macrosternodesmid-looking” gonopods on the seventh segment. Shear and Reddell (2017) suggest that the European genus Macrosternodesmus may even be a synonym of Chaetaspis based on similarity of their gonopods. 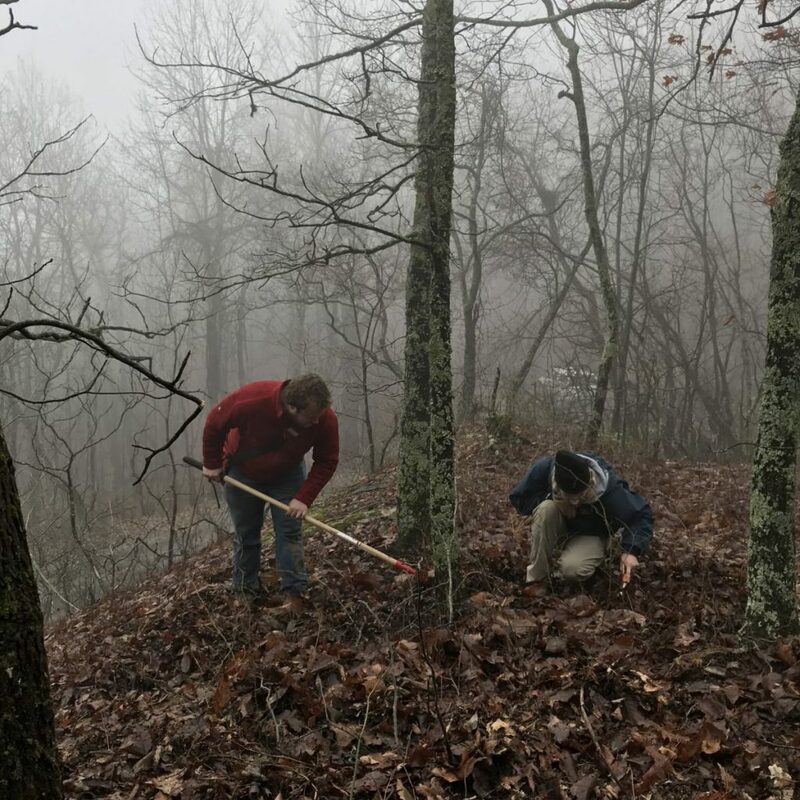 Jackson Means (left) and Derek Hennen (right) collecting millipedes in the genus Nannaria at Fugate Gap on Clinch Mountain, Virginia. After a successful week of the 17th International Congress on Myriapodology in Krabi, our group headed on to Vietnam. Permits in hand, we landed in Hanoi around midnight and prepared for the next leg of our journey. The next morning, we met our local contact, Dr. Anh Duc Nguyen, a scientist at the Institute of Ecology and Biological Resources and he brought us to his office. We were introduced to a few students and faculty, some of whom would be accompanying us on our collecting trips. Paul had prepared a short presentation about our lab’s work, which was well-received. 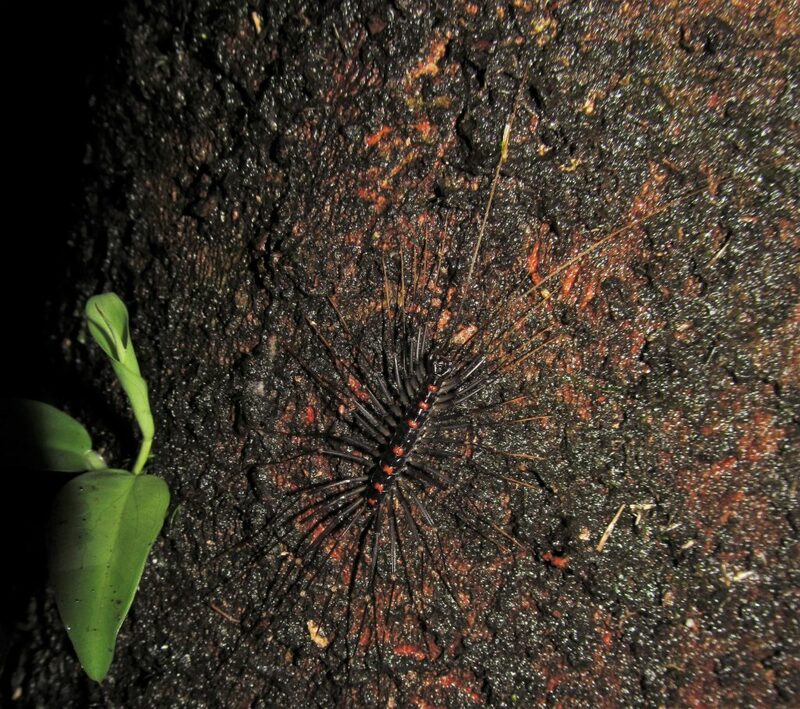 Afterwards, we went on a tour of the National Museum of Natural History and then piled into a van for our journey north to Cúc Phương National Park, where our goal was: the millipede Parariukiaria. This xystodesmid millipede had been collected about a decade earlier, and we jumped at the chance to collect some new specimens for our research. 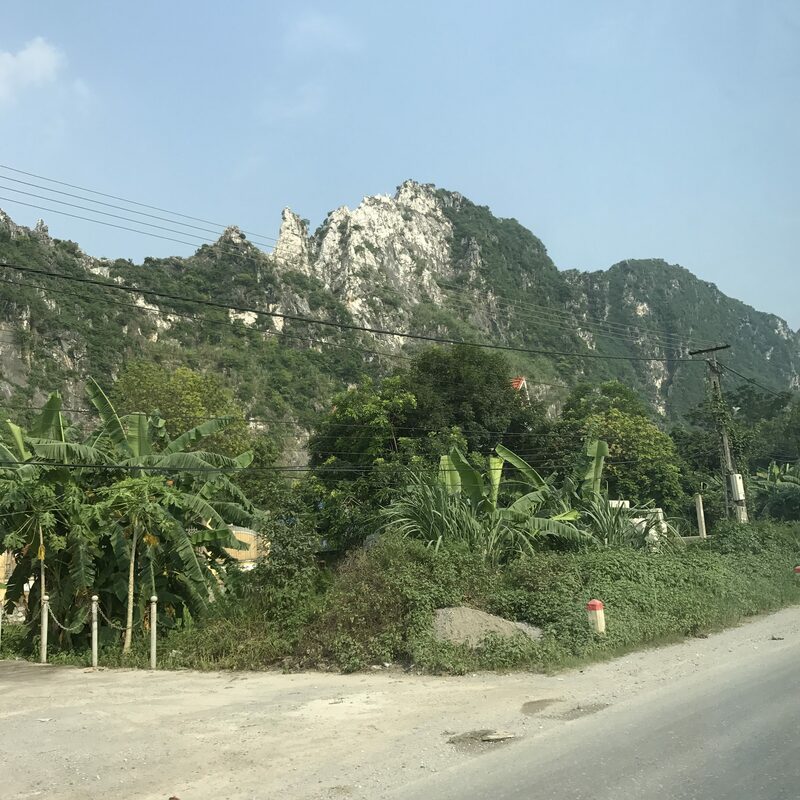 As we passed out of Hanoi and into the highlands, we became more excited. The flood plains gave way to beautiful limestone mountains jutting out of the landscape, and in a few hours we arrived at Cúc Phương. The entrance gate reminded us of the large gate of Jurassic Park, and we were itching to start collecting immediately—which we did. It was dark by the time we were all settled in our rooms, so we took our flashlights and ultraviolet lights with us and started down the road. 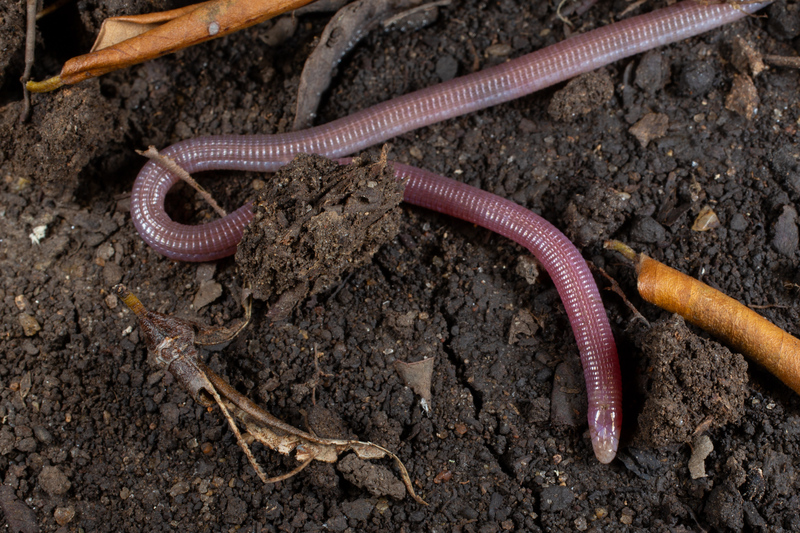 It wasn’t long before we began finding millipedes, and we came across many millipedes in the family Paradoxosomatidae. At last, we were seeing this family in its native habitat, not just an introduced species like back in Virginia! 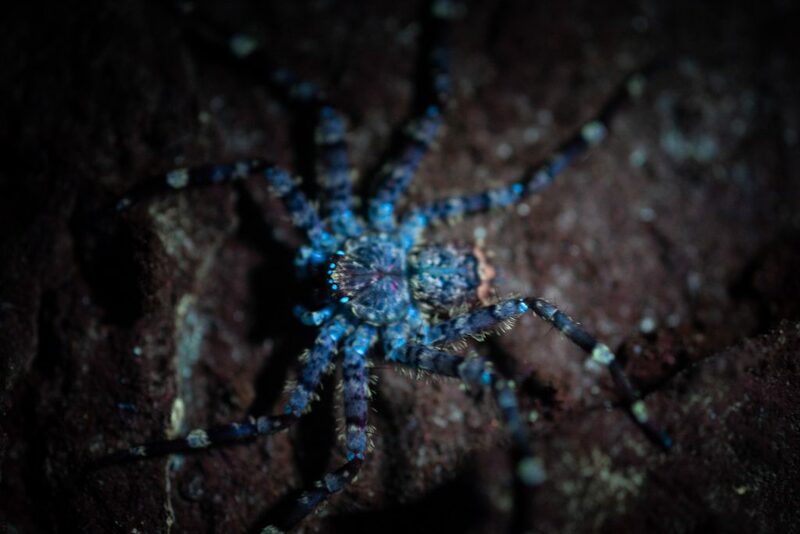 We were surprised to find that the pill millipedes (Glomeridae) along the road fluoresced a blue-green color under UV light, reminiscent of various xystodesmid millipedes back home. If we didn’t realize we were in the jungle yet, our night collecting certainly solidified it. 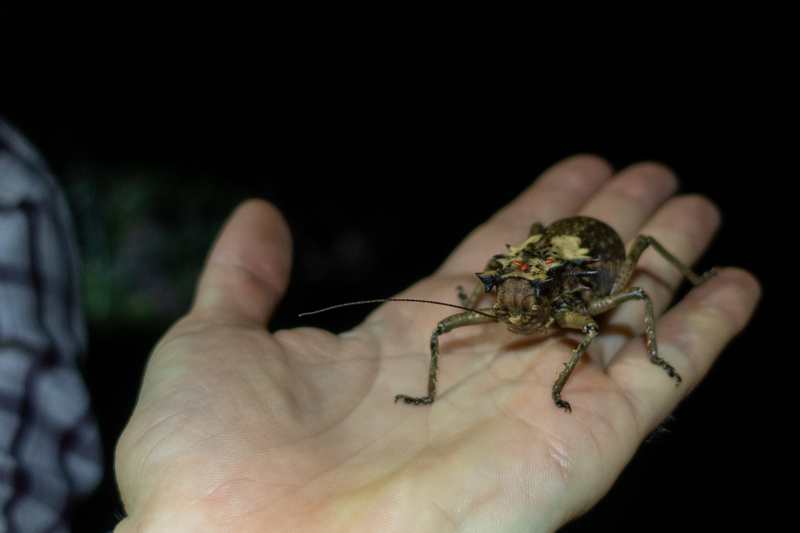 We came across massive insects on our walk, two particular stand outs were a stick insect that didn’t seem to mind us too much and a katydid which merely tolerated us. We spent the next few days exploring Cúc Phương and were joined by Luong Van Hien, a ranger who knew the park well and took us to great collecting spots. 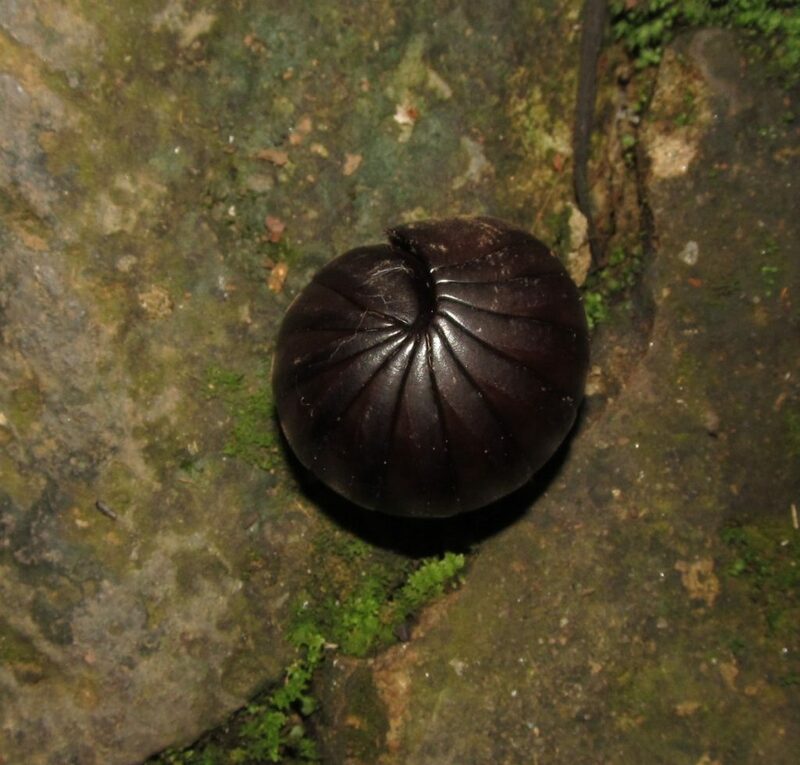 On our first full day in the park, we stopped at the Cave of Prehistoric Man, a large cave complex full of bats, and lucky for us, millipedes. 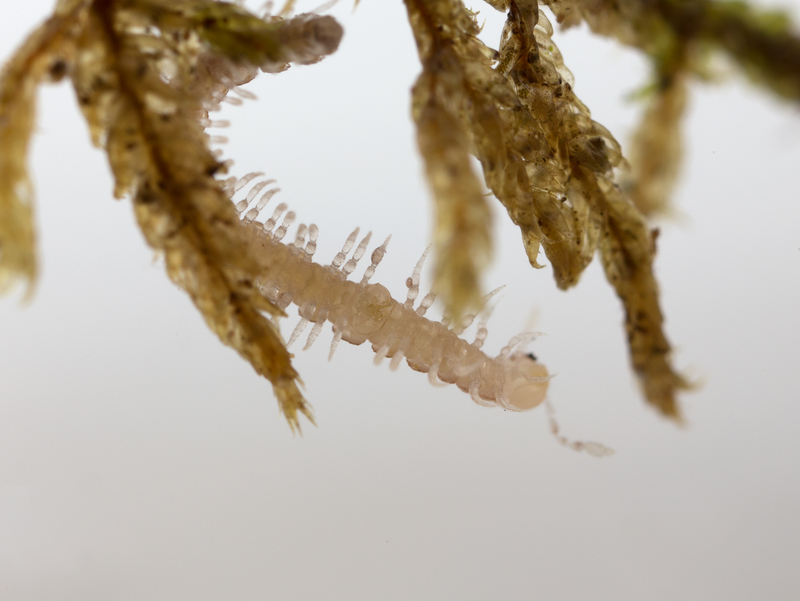 Most of the millipedes we found there were small Polydesmida, with skeletal white Haplodesmidae in particular standing out. 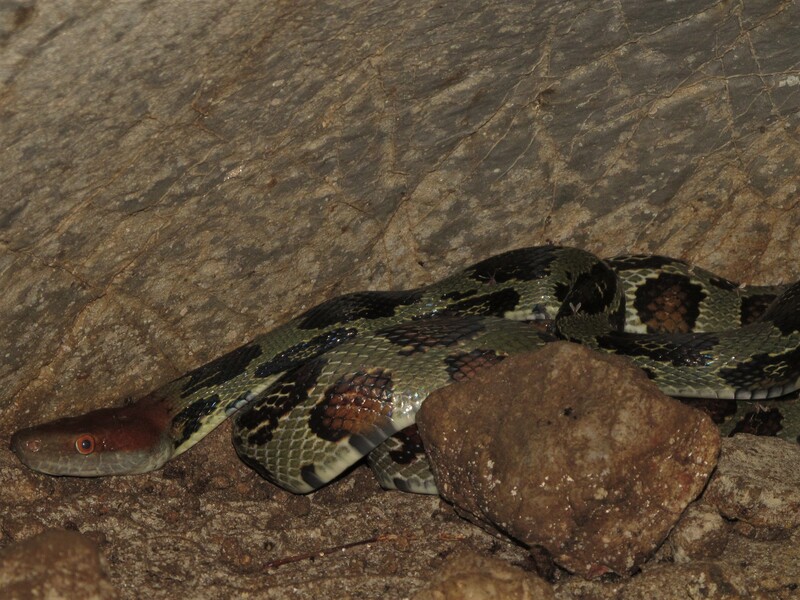 We were also lucky to come across a beautiful snake tucked in a corner of the cave, a Red-headed rat snake. It calmly kept an eye on us as we took photos, and wouldn’t be the last snake we saw on our trip. After our exploration of the cave, we broke for lunch and then continued our collecting. 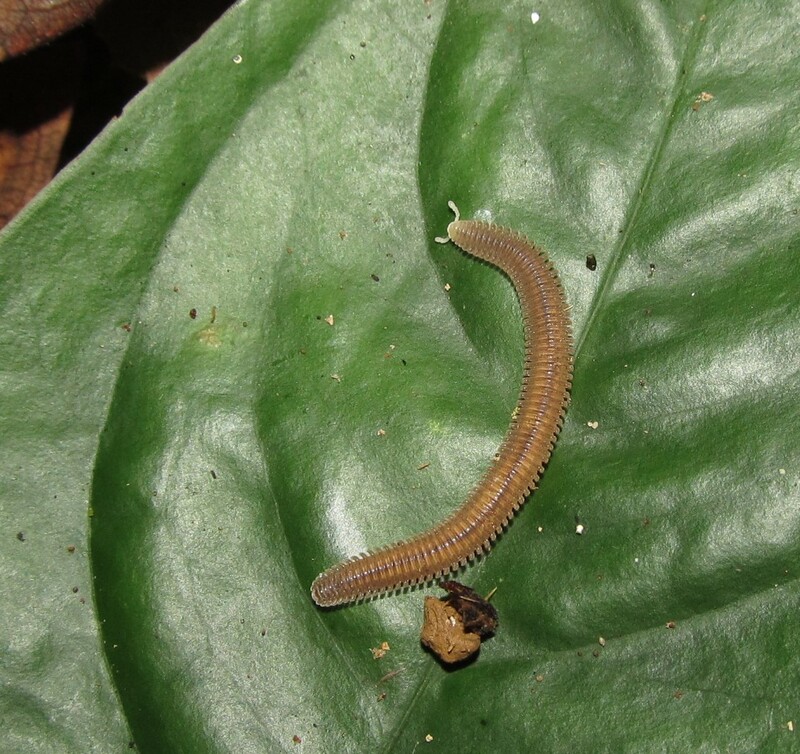 We didn’t have any luck with finding Parariukiaria, but we did come across many other millipedes. We were excited to see some giant pill millipedes in the order Sphaerotheriida, which can roll up into a tight ball about the size of a ping pong ball. While we didn’t find our target species, we couldn’t help but stop and appreciate the chorus of the rainforest while we were digging through the leaf litter. 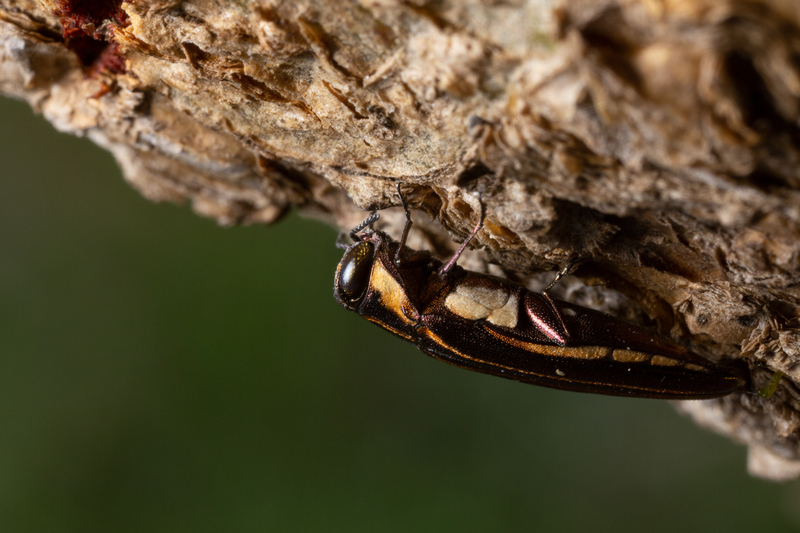 Unknown birdsong would echo through the forest, but what really impressed us were the cicadas that belted out songs that pierced through any other noise. 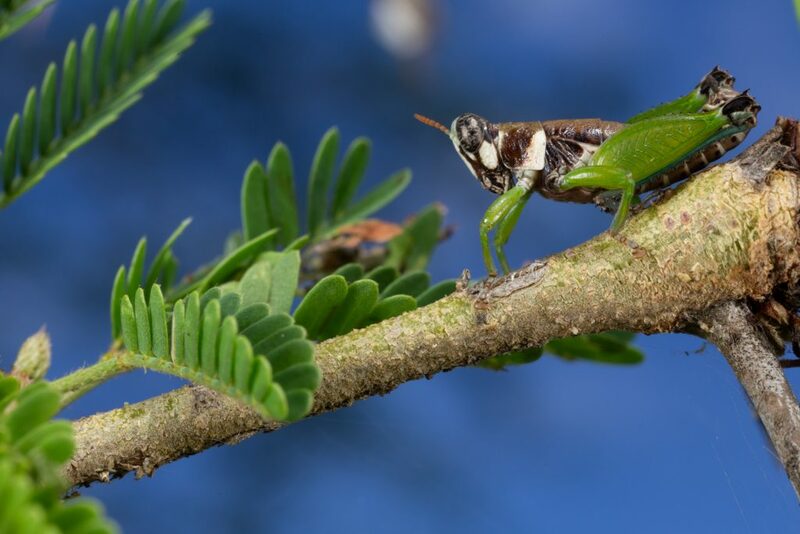 Some sounded similar to our cicadas back home, but others sounded as though they were ripped out of a science fiction movie. Over the next few days, we spent many hours exploring the park and searching for Parariukiara, but to no avail. 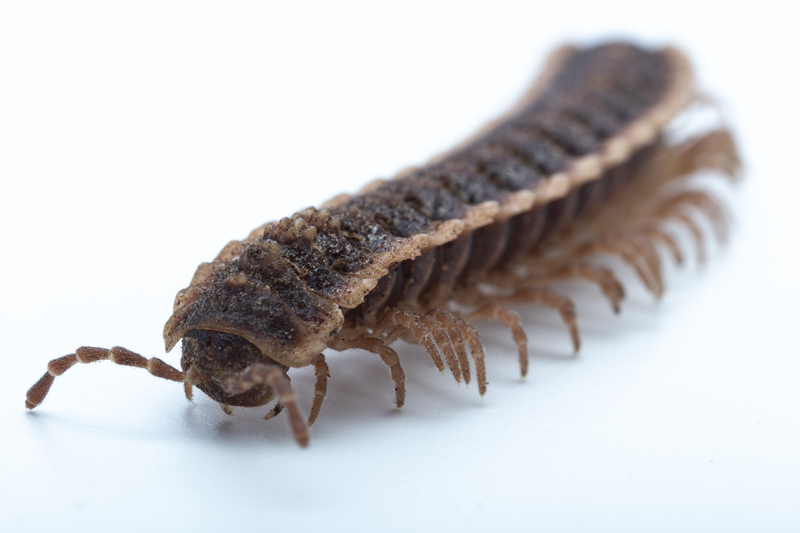 We were, however, lucky enough to find many other cool millipedes and insects. 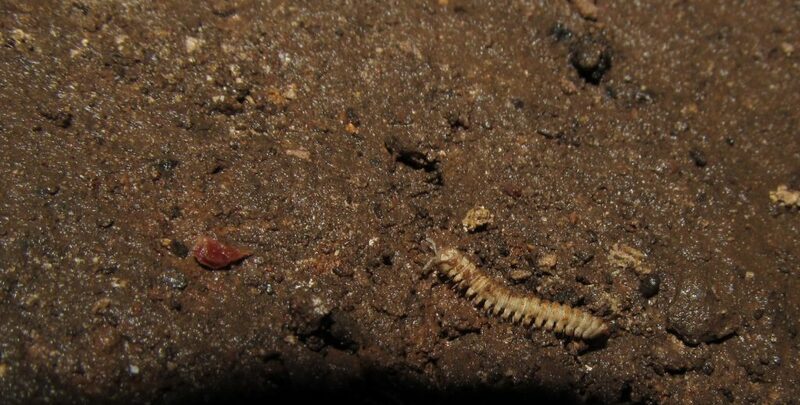 We found many millipedes in the family Platyrhacidae, typically covered in dirt and camouflaged quite well amongst the leaves. 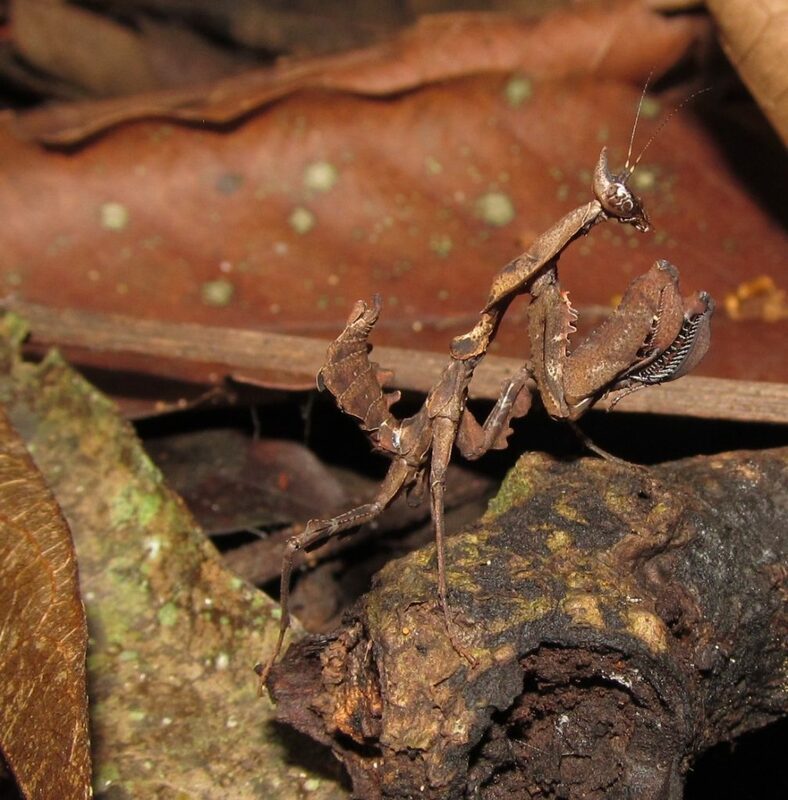 We were met with many more stick insects and leaf mimic mantids, and on more than one occasion we turned over a patch of leaves to find centipedes approaching a foot long. This gave us pause. 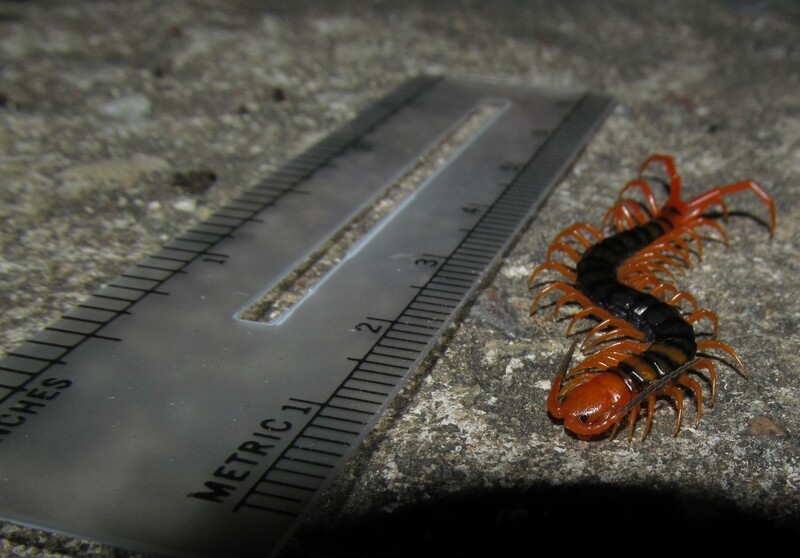 *This centipede, a member of the genus Scolopendra, was dead. We found it drowned, and then hilarity ensued; including wearing it like a brooch and like the ultimate pirate’s parrot. 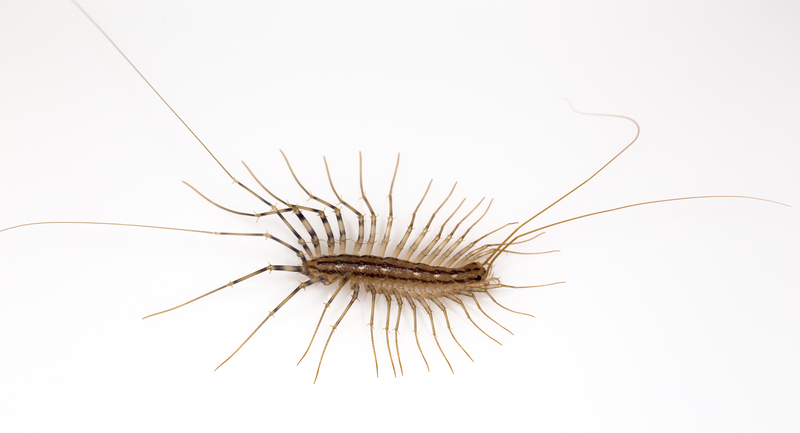 I do not recommend trying this at home with a live centipede. 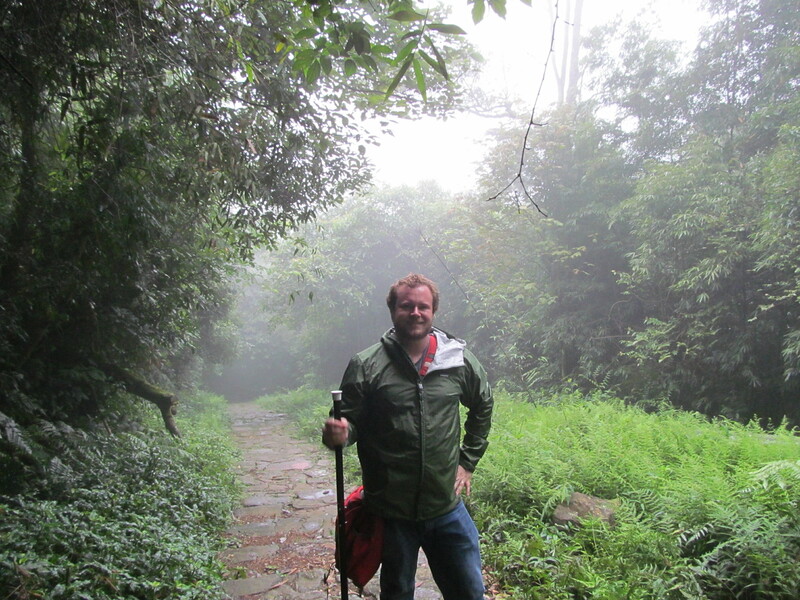 Our next stop took us higher into the mountains, and we found ourselves in Tam Đảo National Park. After a beautiful drive up, we found ourselves above the clouds and were eager to begin collecting. 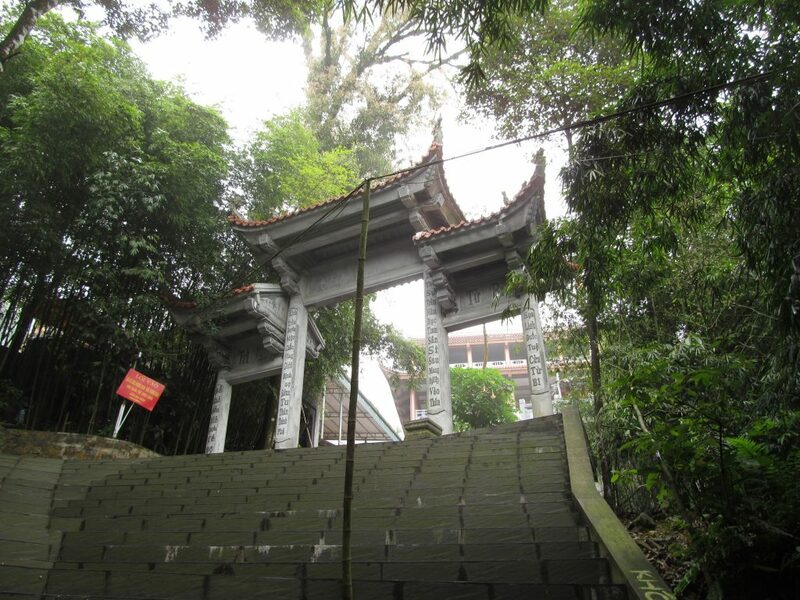 On our first day we hiked up the mountainside past a beautiful temple complex shrouded in mist, and begun our search. 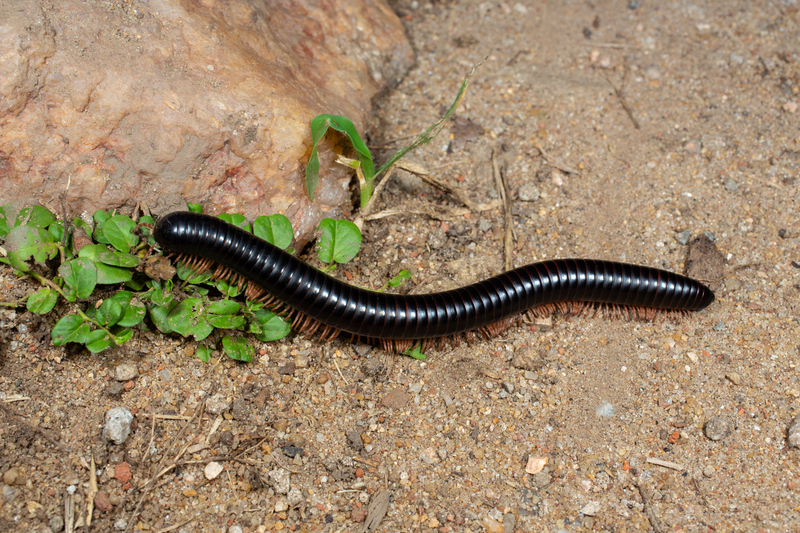 Not too long after we started, we happened upon a millipede in the family Polydesmidae, and I was overjoyed. While not Parariukiaria, it will prove useful for my own research with North American representatives of the family. As we collected, the rain hit us for the first time during our trip. We had been wondering where all the rain was, and apparently it was hiding up here. We were drenched within minutes, even with rain gear, but after a thorough soaking it doesn’t become quite so uncomfortable. 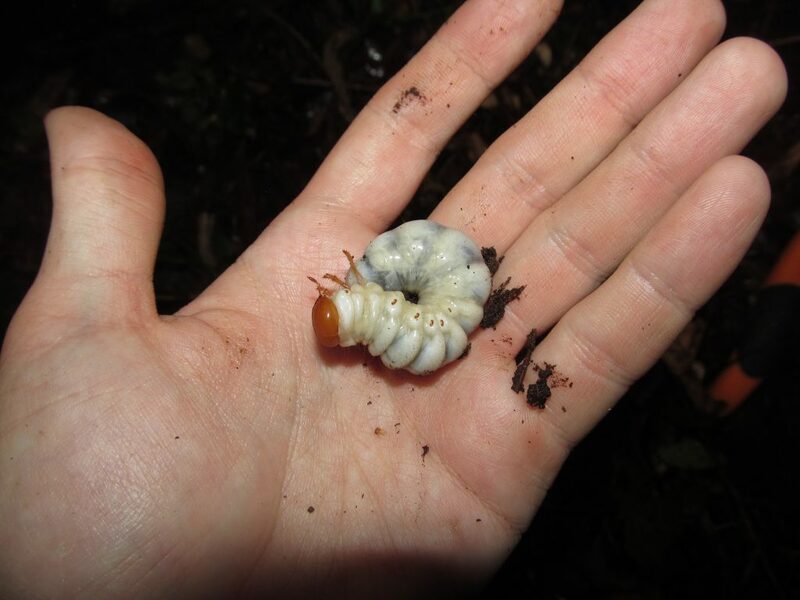 We couldn’t help noticing the massive beetle grubs throughout the area, and uncovered dozens as we searched through the soil. We spent our last few days in Vietnam at Tam Đảo, but never did find any individuals of Parariukiaria. 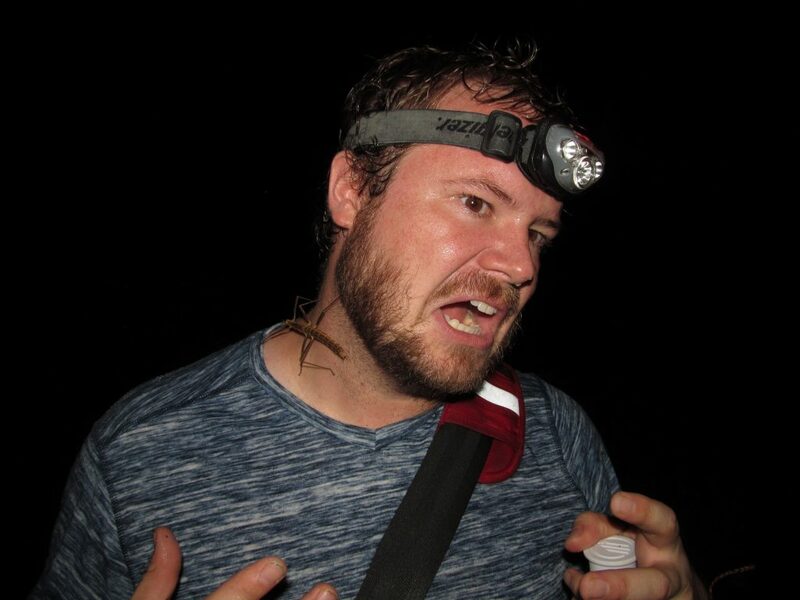 We did luck out with finding more giant pill millipedes, many Paradoxosomatidae, and other interesting millipedes, such as the feather millipedes in the family Platydesmidae, however, and this kept our spirits up. 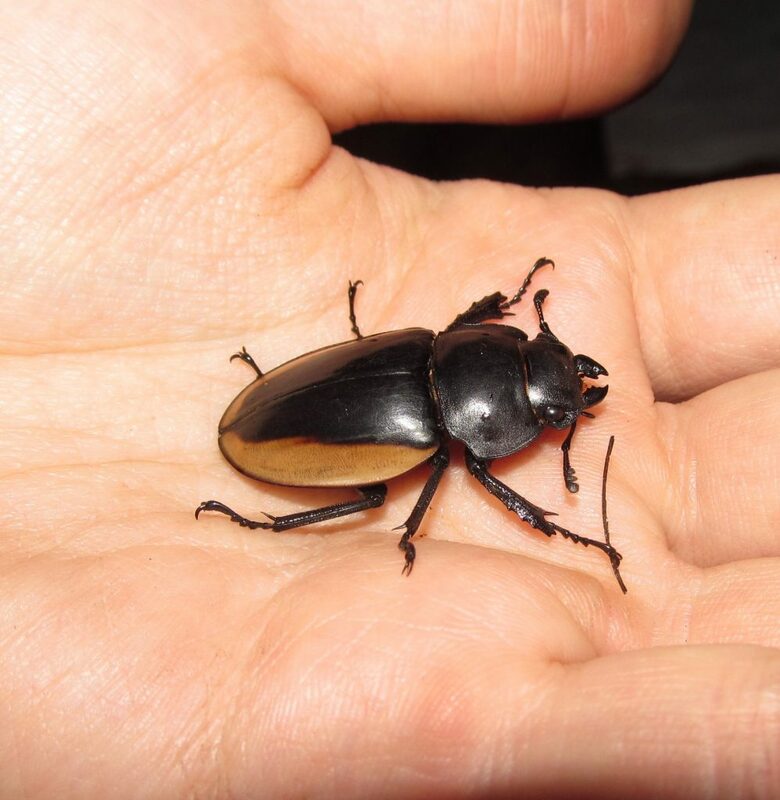 I was also lucky enough to run into a gorgeous stag beetle on the mountain one day, which was a nice surprise. A surprise that wasn’t quite as nice were the wasps on the mountainside, which became combative towards Jackson as he tried to pass by them. And of course, we made time one night to go sing karaoke (it was excellent). Suddenly, a stag beetle appeared! By the time we made it back to Hanoi, we were exhausted from our collecting, but we had a lot to show for it. 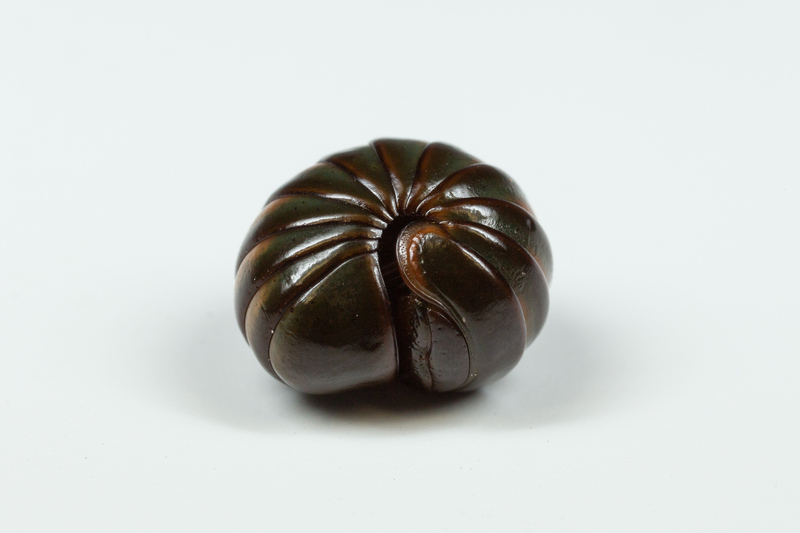 We had successfully collected many families of millipedes not found in North America, and had many specimens to augment our research. While we weren’t able to collect any Asian Xystodesmidae, the local scientists who joined us on our collecting trips made plans to look for it during a different season, solidifying our international collaboration. And with that, all that separated us from being home was a solid 26 hours of travel. Once we were back in Virginia, we decided to take the next day off to rest. 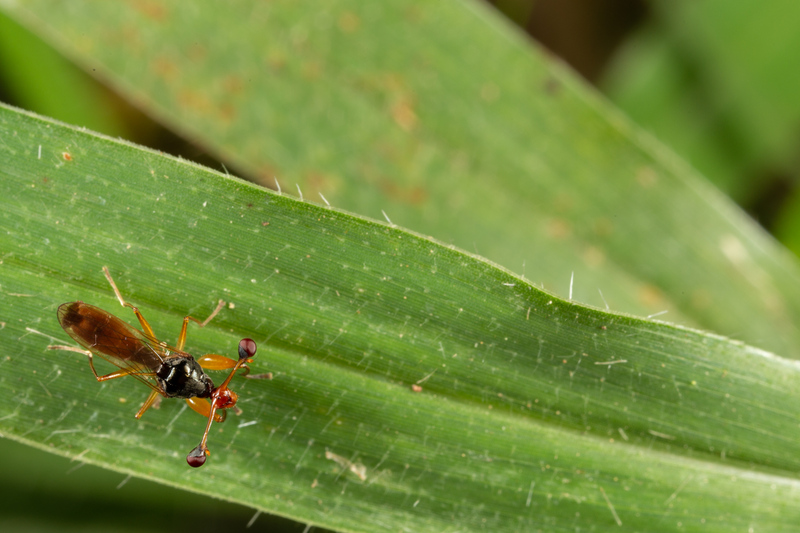 Taxonomy, the naming and description of species, can be a tedious and exhausting undertaking. When one does taxonomy there are often long periods of intense focus, frequently while hunched over, staring through a microscope. 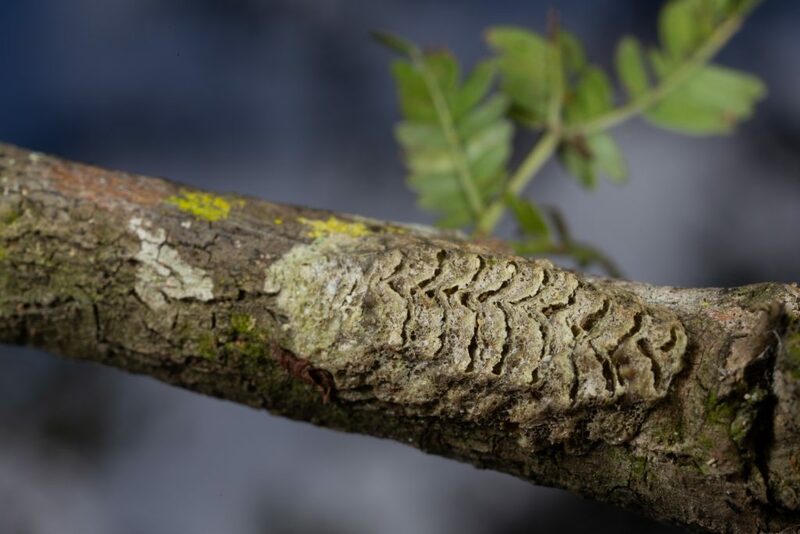 Each morphological structure must be accurately documented, illustrated and compared to those of other species. 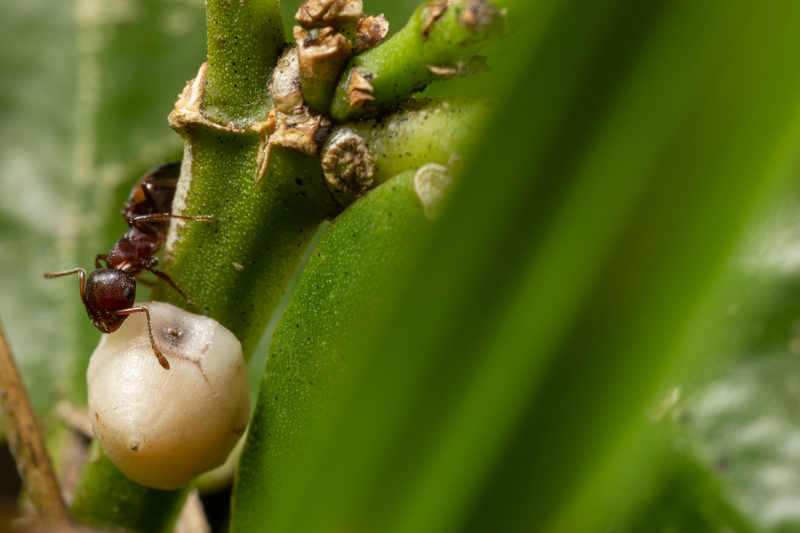 DNA must be extracted, sequenced and run through complex phylogenetic analyses. There is a peace and beauty to the process, but to many, the amount of work and tedium would make the whole endeavor unpalatable. 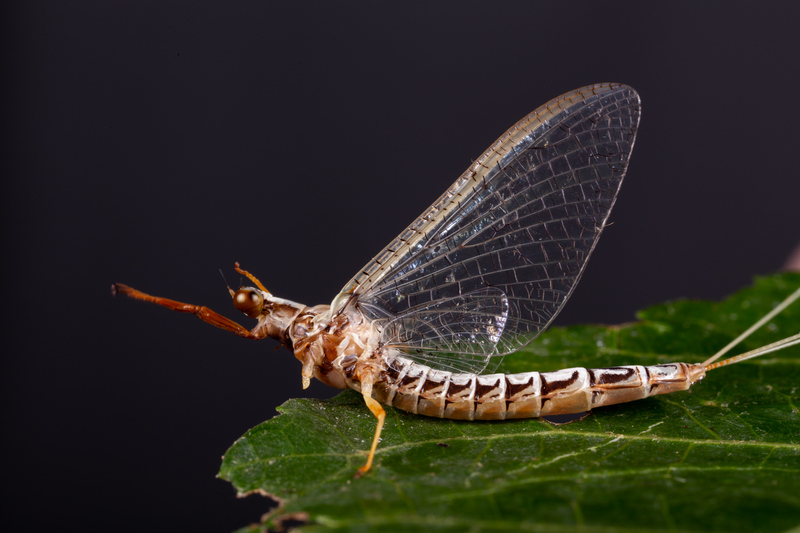 However, there is one thing that even the least taxonomically-inclined individual would find rewarding: the white-hot rush of discovery. There exist few feelings as intense and wonderful as finding something that has never been described by science, or rediscovering a species that hasn’t been seen in decades. 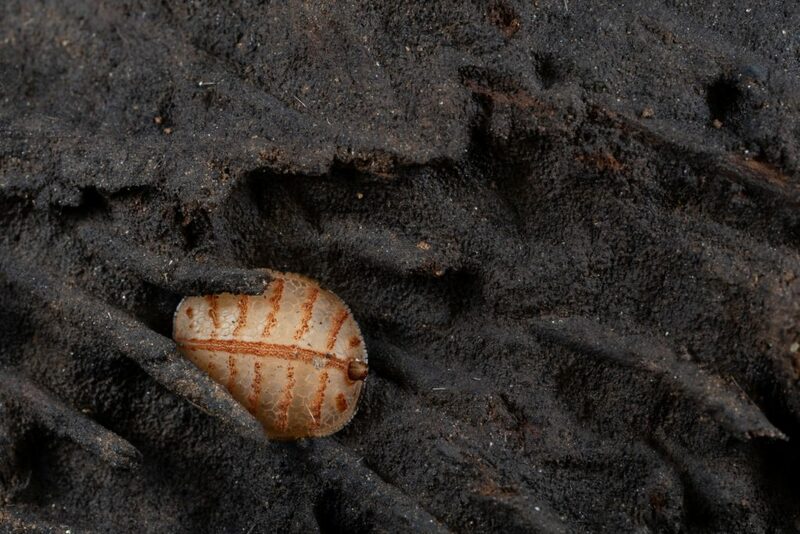 Oenomaea pulchella, which unfortunately lacks a common name, was one such species. Last collected in the 70’s by the renowned diplopodologist Rowland Shelley, O. pulchella is believed to be the closest living relative to a genus that we are in the process of revising, Nannaria, and has been something of a white whale for myself and my fellow lab mates for the past two years. Miraculously, this past weekend I found 13 individuals in the small Tennessee town of Bulls Gap. 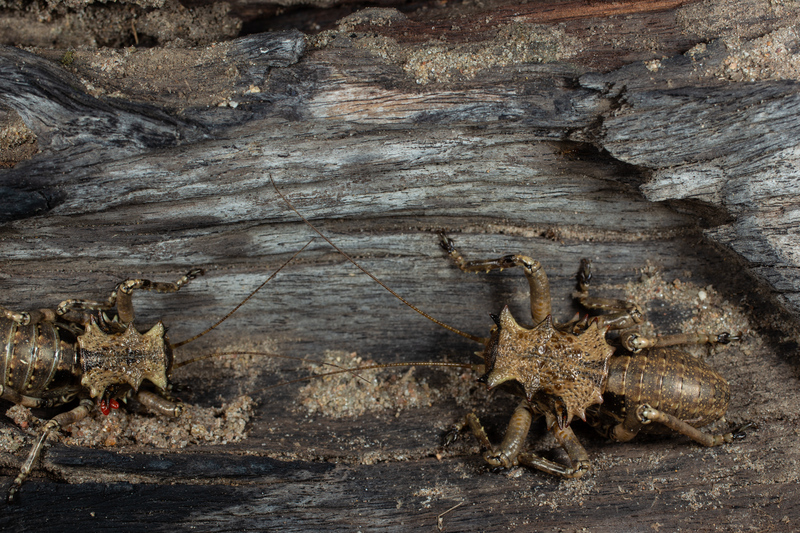 They were under a thin layer of mud in a trash-ridden swamp that I honestly thought was a terrible spot for collecting, but it was a last-ditch effort at the end of a long day. 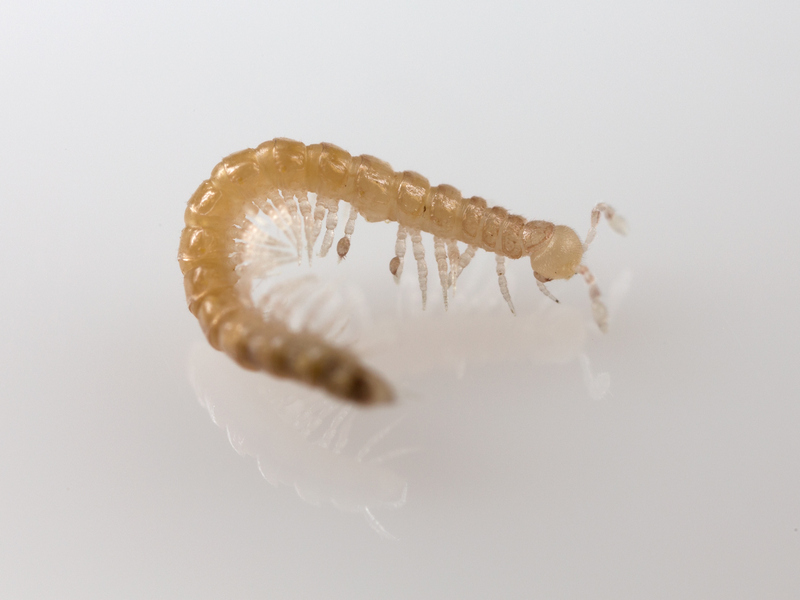 At first I couldn’t believe what I was holding in my hands, at just over 25 mm O. pulchella is not the easiest millipede to identify. But it’s bright coloration made it instantly recognizable as something different than the comparably drab Nannaria (Fig. 2). 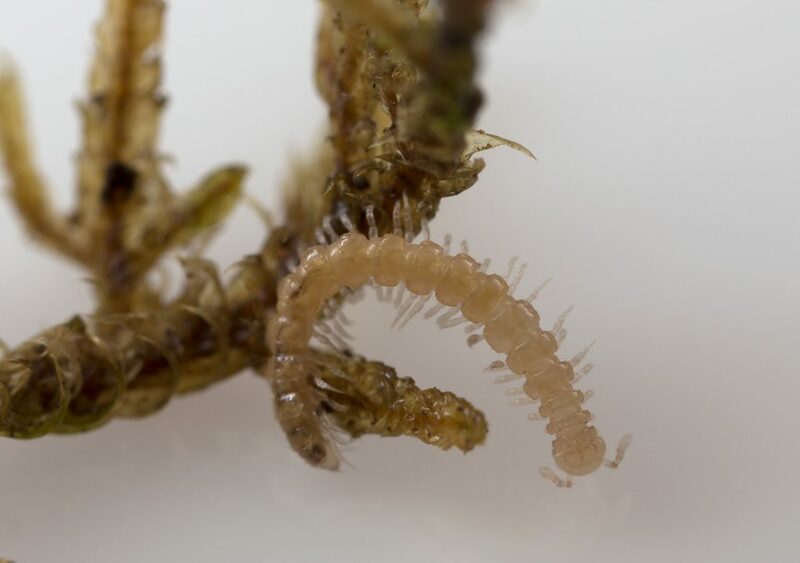 That rush never gets old, and I feel it every time I find a new Nannaria species, but not since my first new species have I felt that excited. 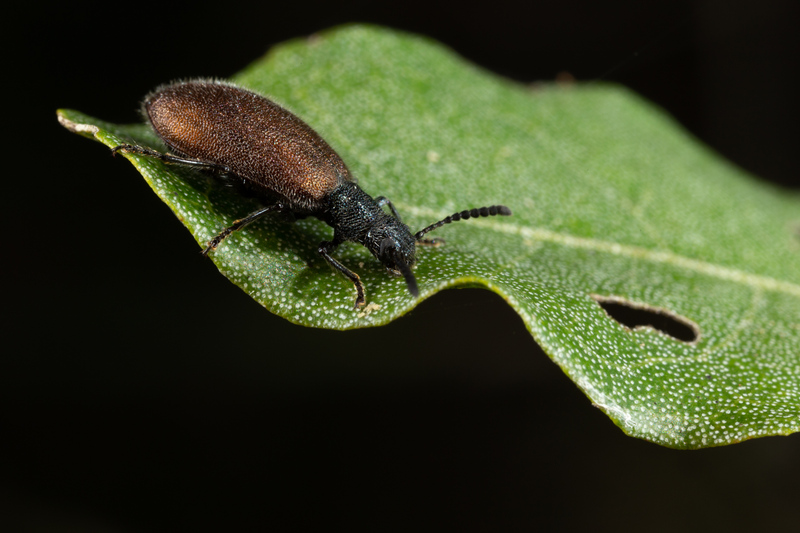 Now on to the next white whale, Rhysodesmus restrans! 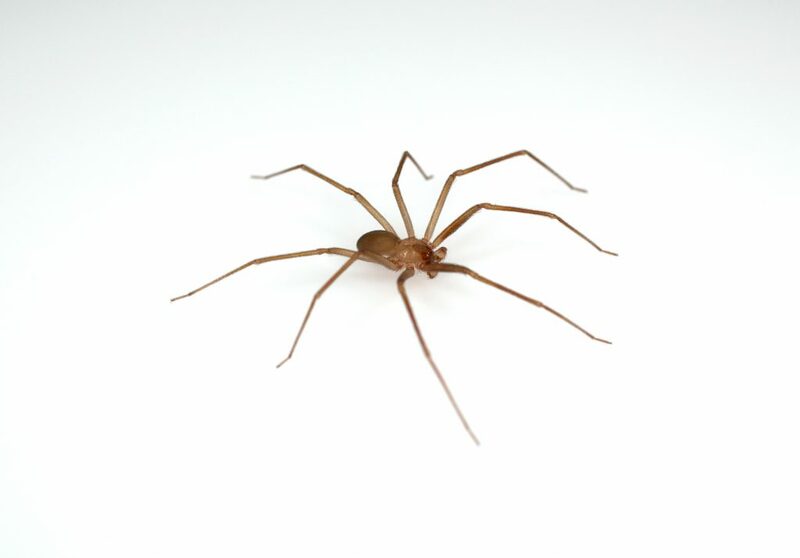 Last month, I found this spider in Seitz Hall on the campus of Virginia Tech where we house the Virginia Tech Insect Collection. 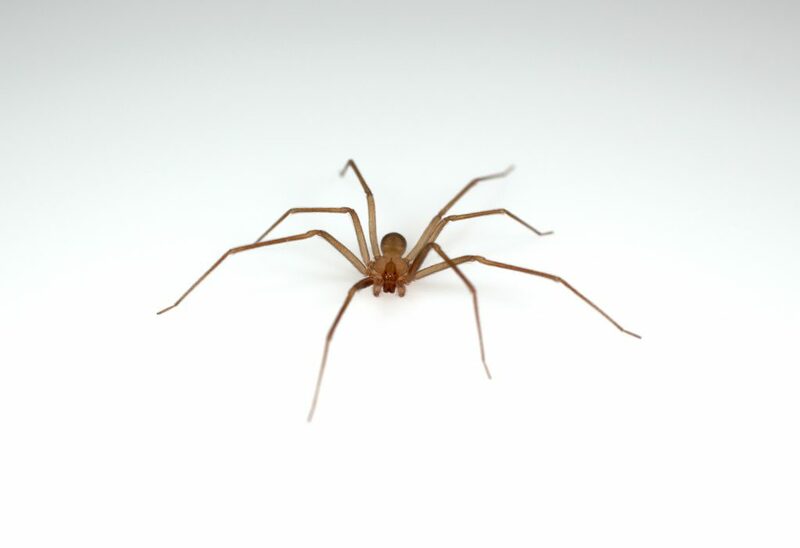 At first glance, I thought it was a Brown recluse spider (Loxosceles reclusa Gertsch & Mulaik, 1940), but sent the specimen to Matt Bertone at North Carolina State University, who determined it was the Mediterranean recluse. 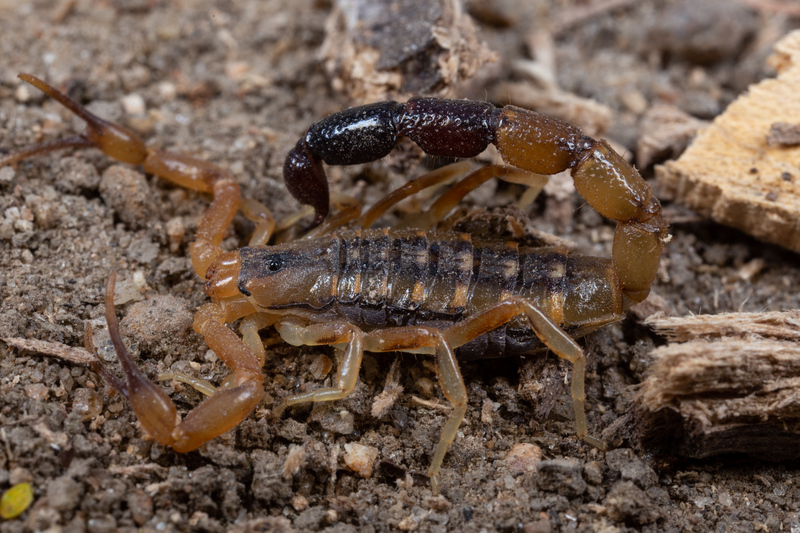 The Arthropod Museum in the Department of Entomology at the University of Arkansas has a nice article about the two species and how to tell them apart. The Mediterranean recluse is an introduced spider with origins in the Mediterranean region, but it is well established in many places. Another introduced species of arthropod from the Mediterranean region is the fleet-footed House centipede Scutigera coleoptrata (Linnaeus, 1758). 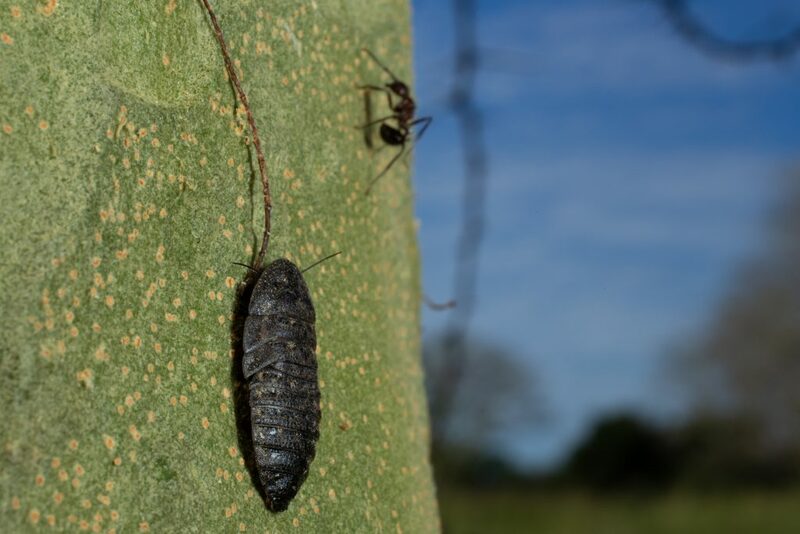 As both are predators, I imagine them battling it out for the delectable cockroaches and silverfish prey running around. 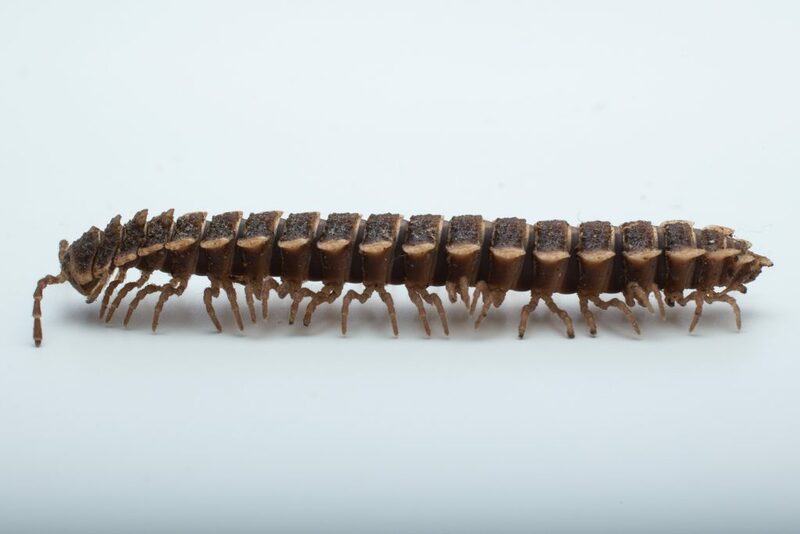 This millipede is the species Brachoria cedra Keeton, 1959 from the The Cedars Natural Area Preserve in Lee County, Virginia. 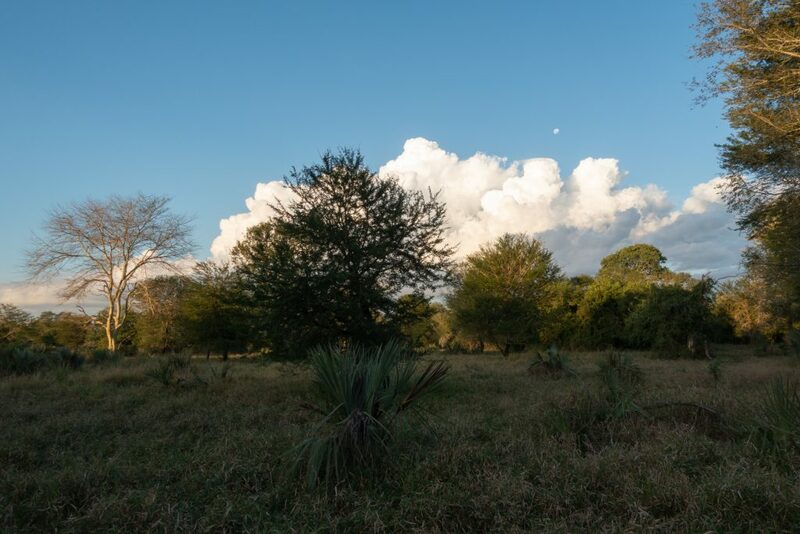 The Cedars Preserve is a wonderful limestone glade habitat, and it gets its name from the Eastern redcedar growing in the area (Juniperus virginiana L.). 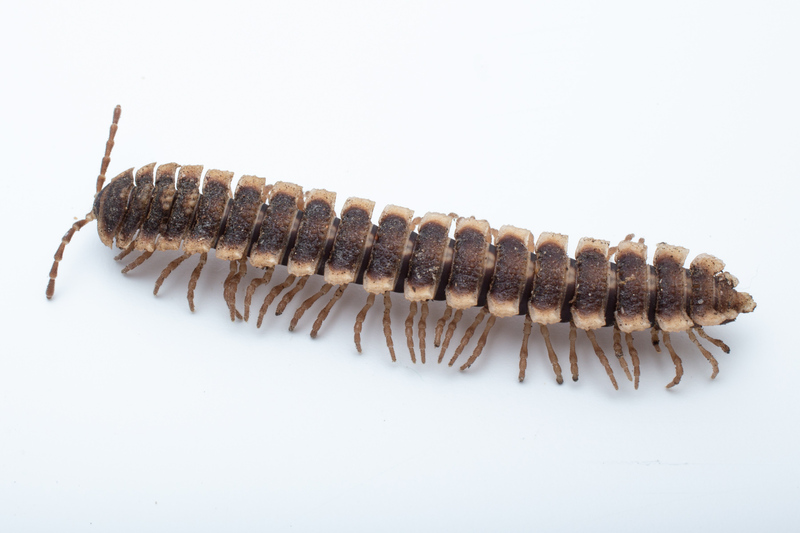 The millipede is officially listed as a state threatened species in the state. The Cedar Glade Mimic Millipede in the Tree of Life Web Project. The Cedars Natural Area Preserve, Virginia Department of Conservation and Recreation. 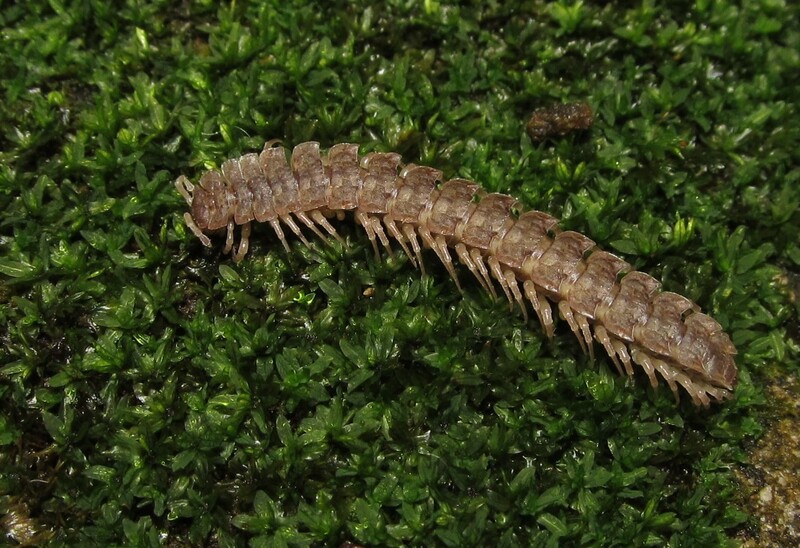 A revision of the Appalachian millipede genus Brachoria Chamberlin, 1939. 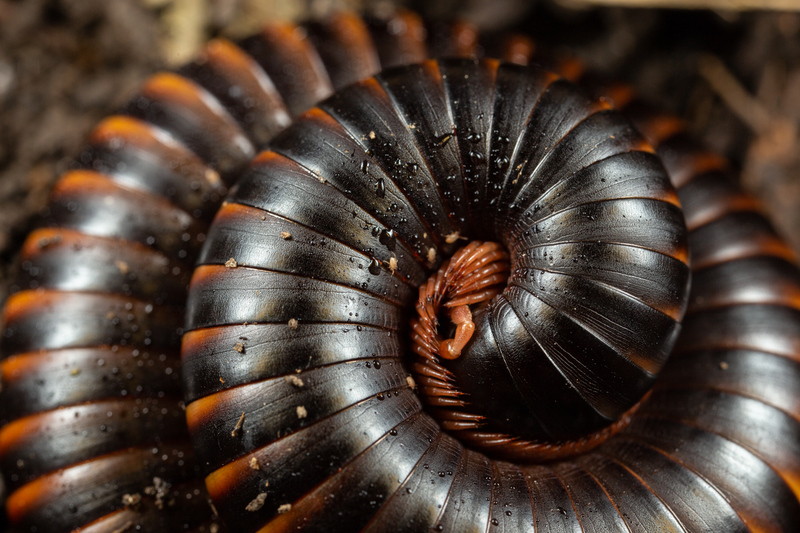 A Müllerian mimicry ring in Appalachian millipedes. 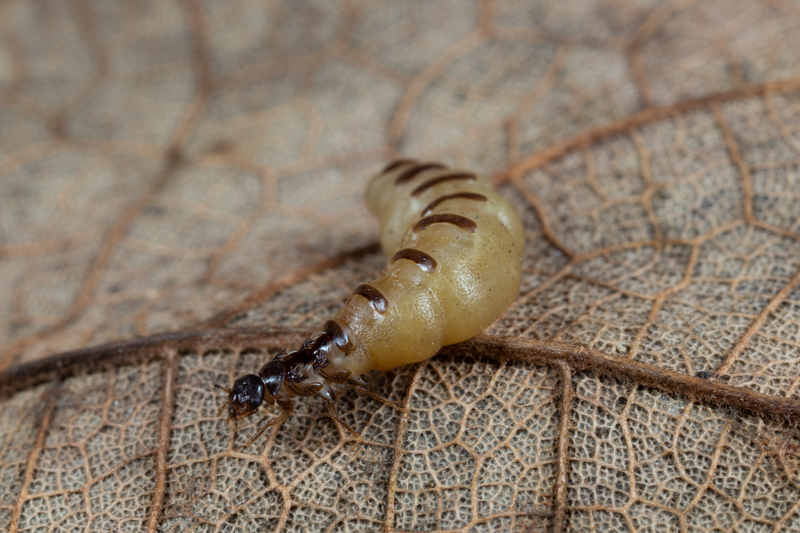 This is the larva of Caenia dimidiata, a Net-winged beetle of the family Lycidae. The top image shows the dorsum (back) of the beetle, and the bottom is the venter (underside). 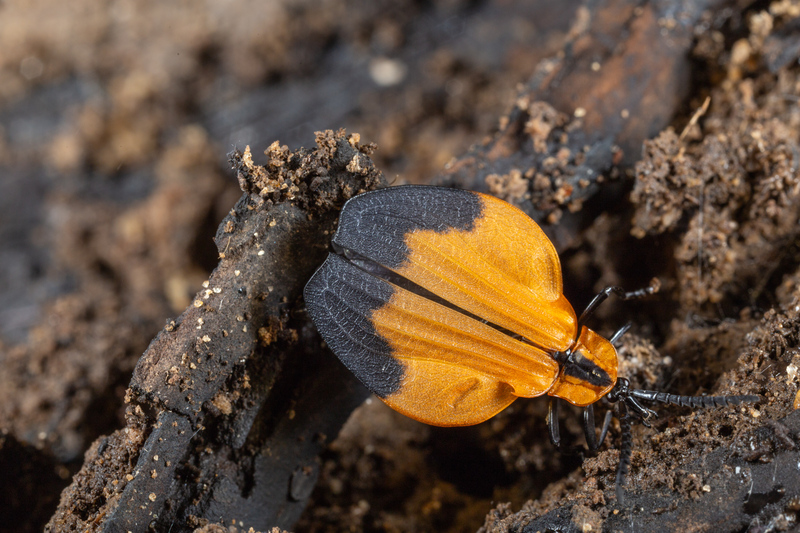 The adult beetle has a striking orange and black appearance. 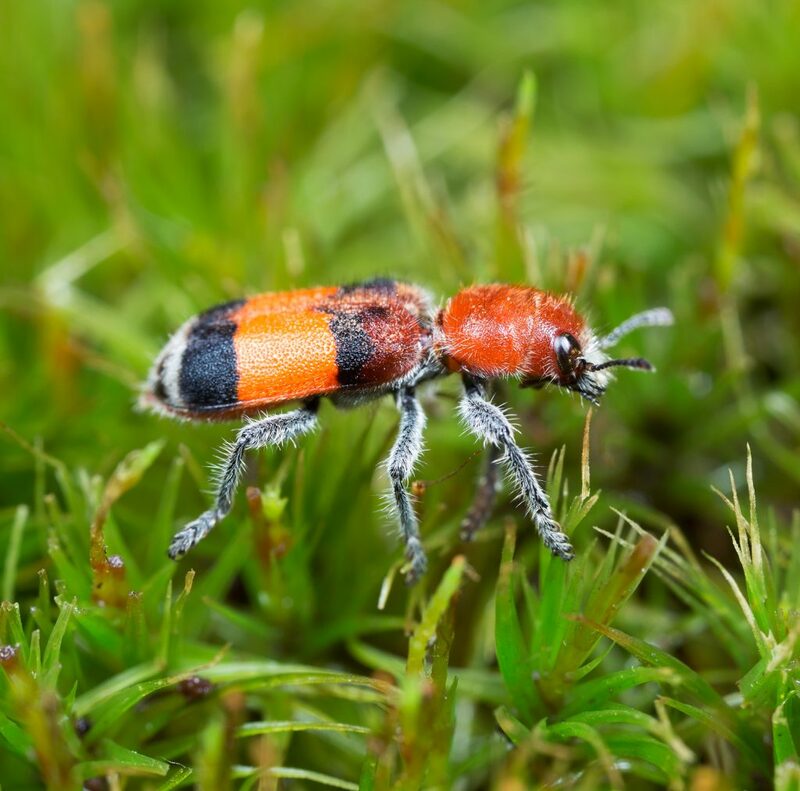 Many lycid beetles produce noxious lycidic acid or pyrazine and they warn potential predator of their toxicity through conspicuous coloration (Eisner, 2005). 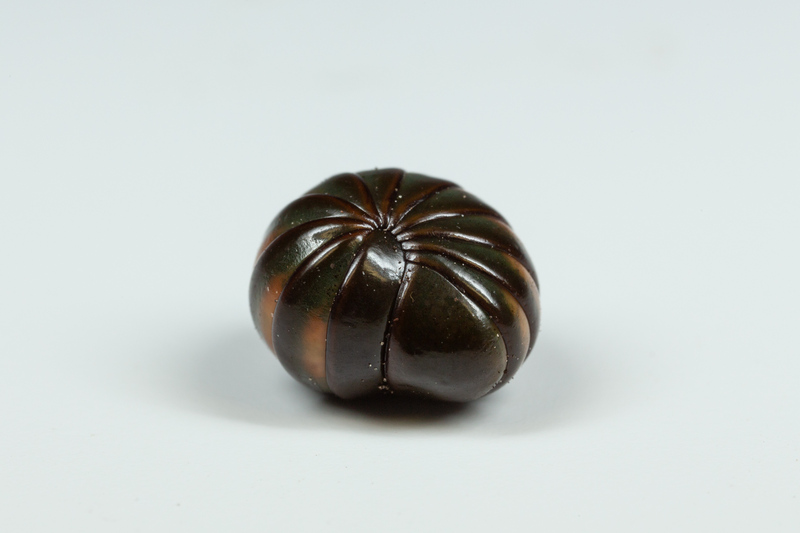 The strange protuberances on either side of its body segments are composed of cuticle and serve an unknown role. 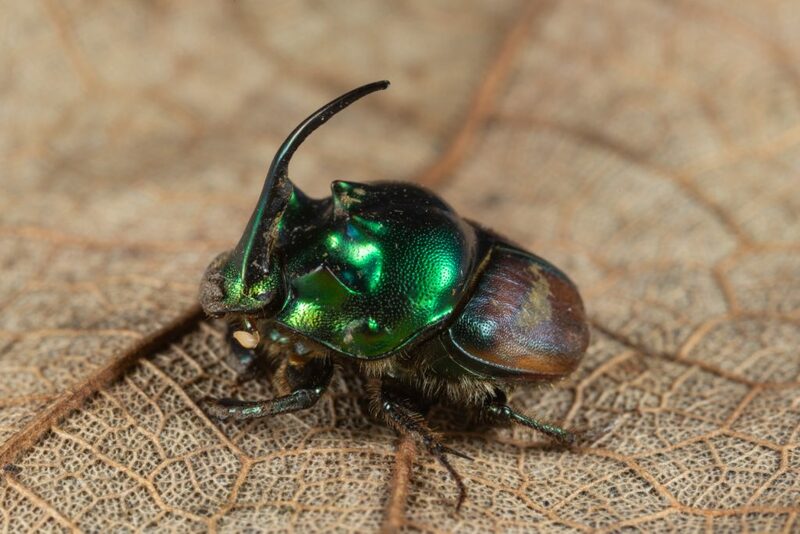 The beetle’s head is bizarre and possesses stubby antennae and reduced mouthparts. 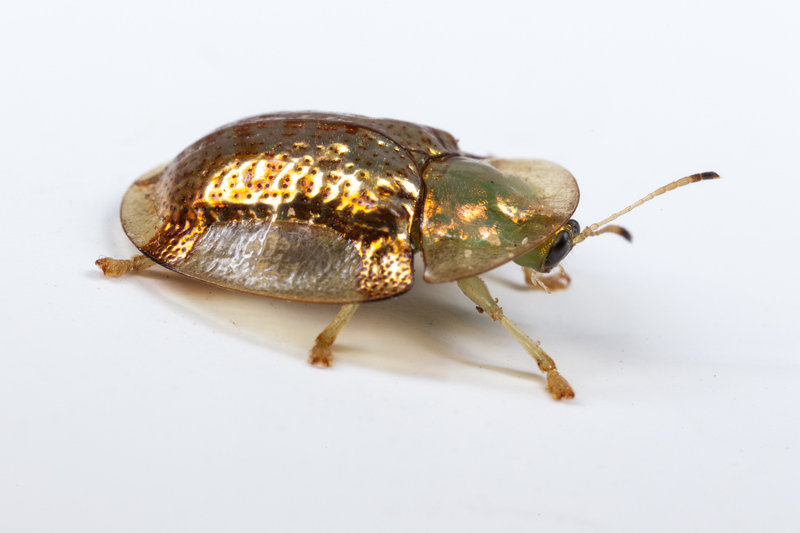 A high-res version of the beetle image is linked here (9.2 MB). Eisner, T. (2005). 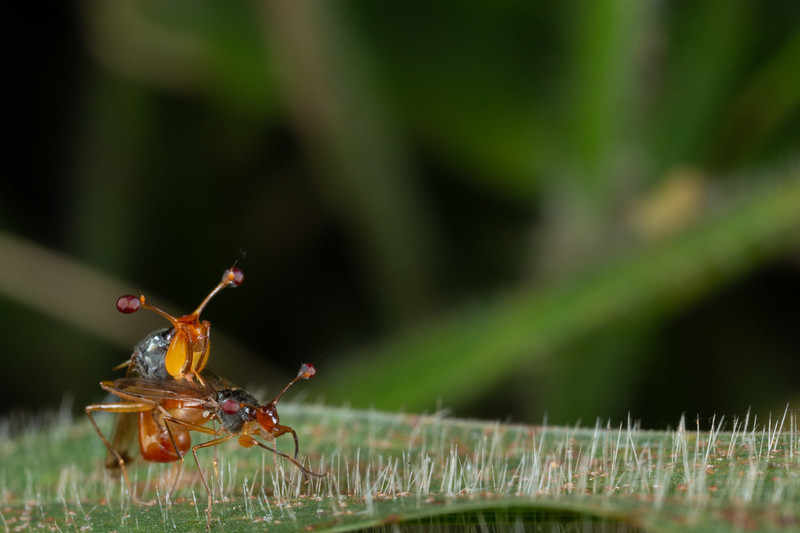 For love of insects. Harvard University Press. 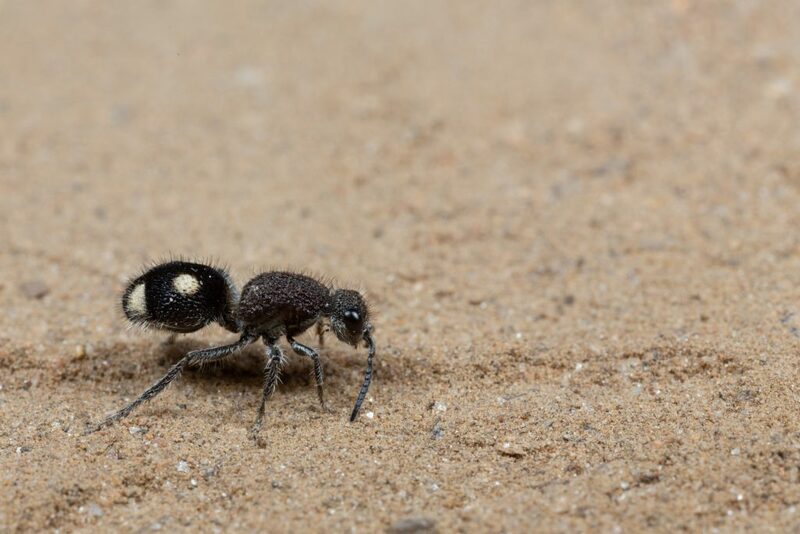 Thanks to D. Hennen for collecting it, and J. Cicero for identifying the species.